The final total raised by The Big Walk on 18 May has now been calculated, and it's £3344.86. 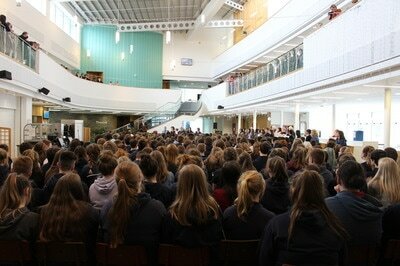 A huge thank you to everyone who contributed to raising such a massive amount. 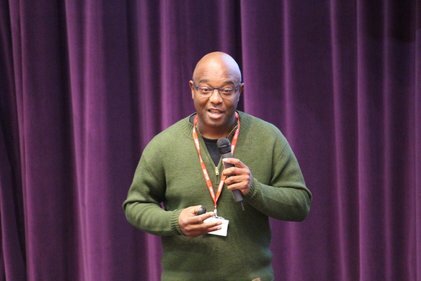 David Lindo, the Urban Birder, journalist, broadcaster and media blogger, spoke to S2 pupils yesterday. This year's winning YPI team recently presented a cheque for £3000 to volunteers from Kirkwall RNLI. Pupils in S3 had to choose a charity and then present the case for that charity to be awarded £3000 from the Youth Philanthropy Initiative. 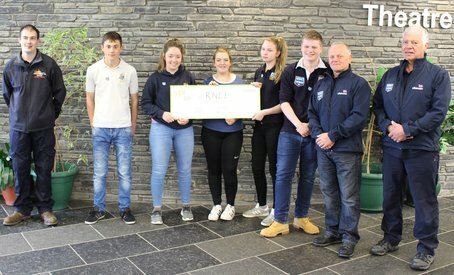 The winners chose the RNLI because of their importance to the island community. They impressed the judges with the quality of their research, teamwork and presentation skills. 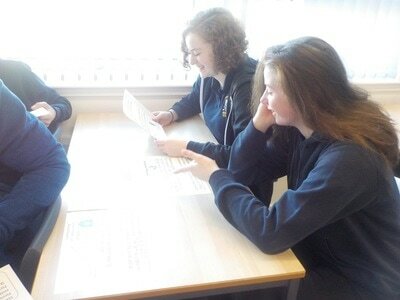 Some of our pupils attended a talk today at the Albert Hotel as invited guests of Kyloe Partners. The surprise guest speaker was Dame Katherine Grainger, the very successful Olympic rower! It was fantastic to hear about her Olympic story. 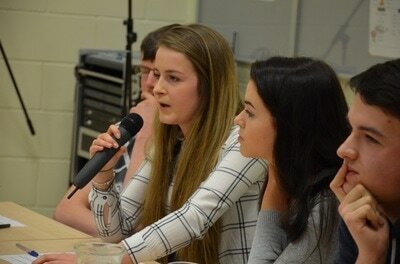 She talked about her successes, disappointments and the lessons learned along the way. She is now retired from rowing and is starting her new role as Chairperson of UK Sport on 1st July. 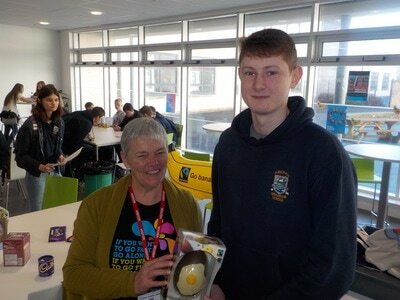 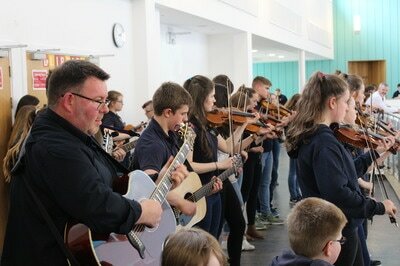 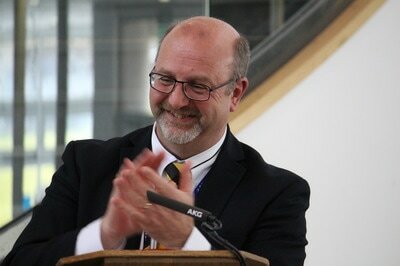 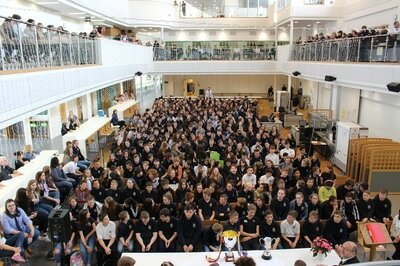 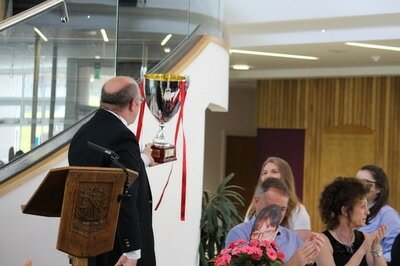 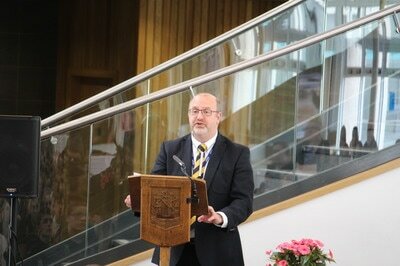 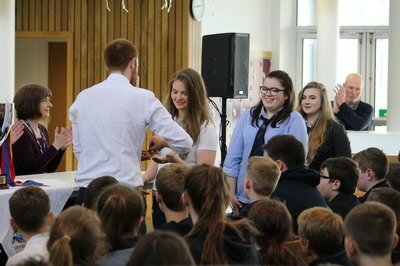 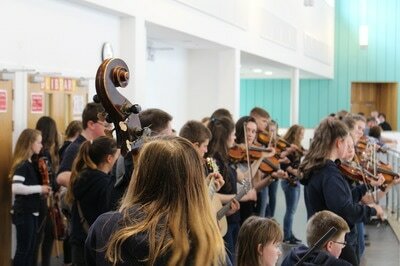 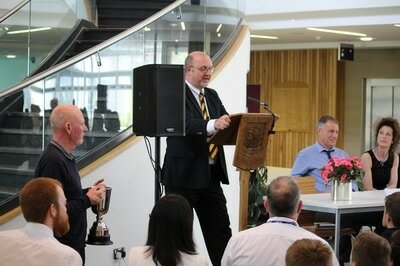 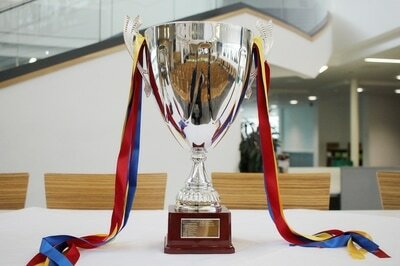 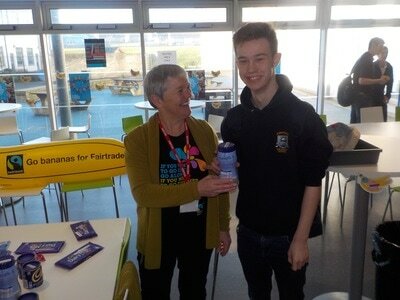 The local Young Enterprise finals were held recently at Orkney College. 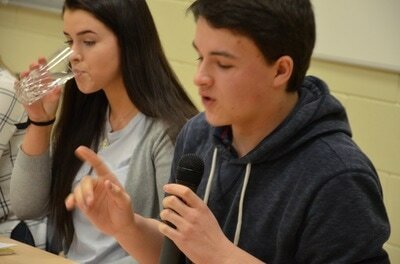 “Drekka” were competing for KGS. 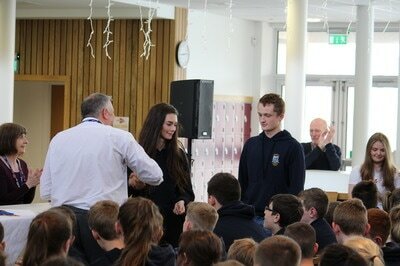 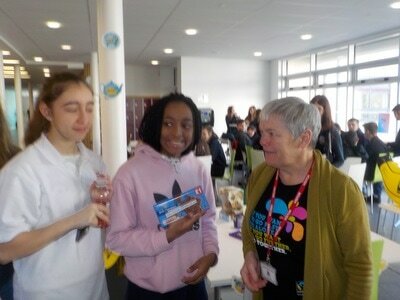 They are to be congratulated on winning the Best Website award and the Best Trade Stand award. After a very close and exciting competition, “Island Charm” from Stromness Academy were declared worthy winners and will be representing Orkney in Hampden, Glasgow on June 5 for the national finals. We wish them well. 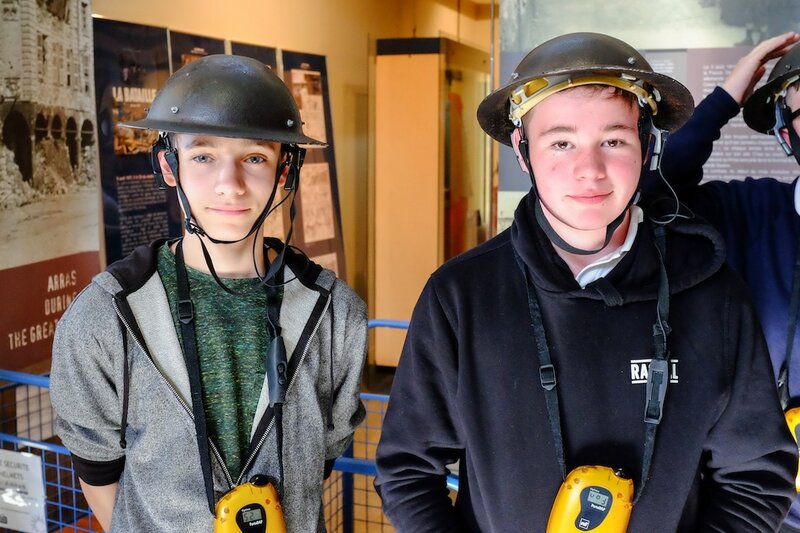 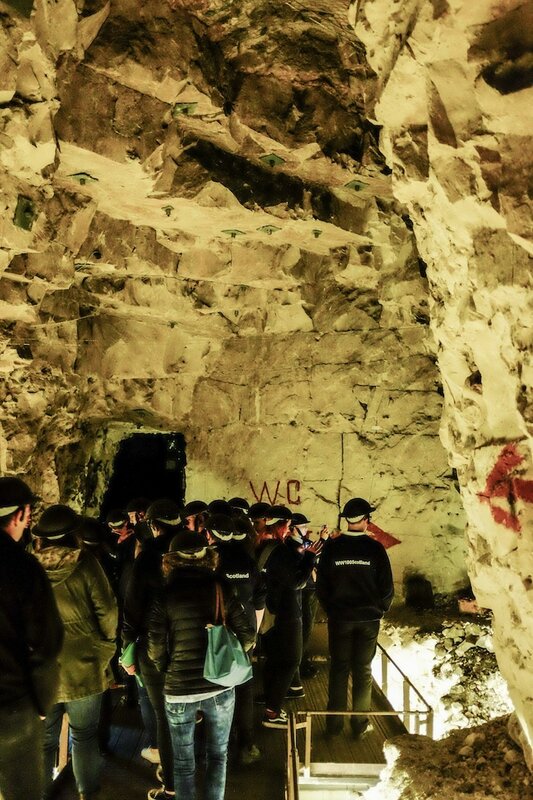 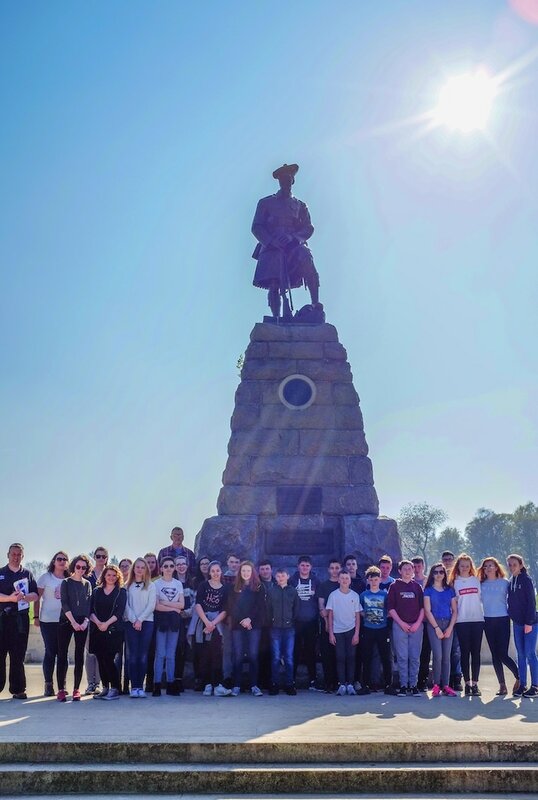 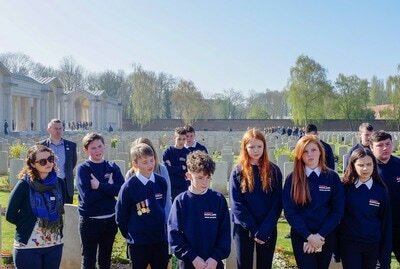 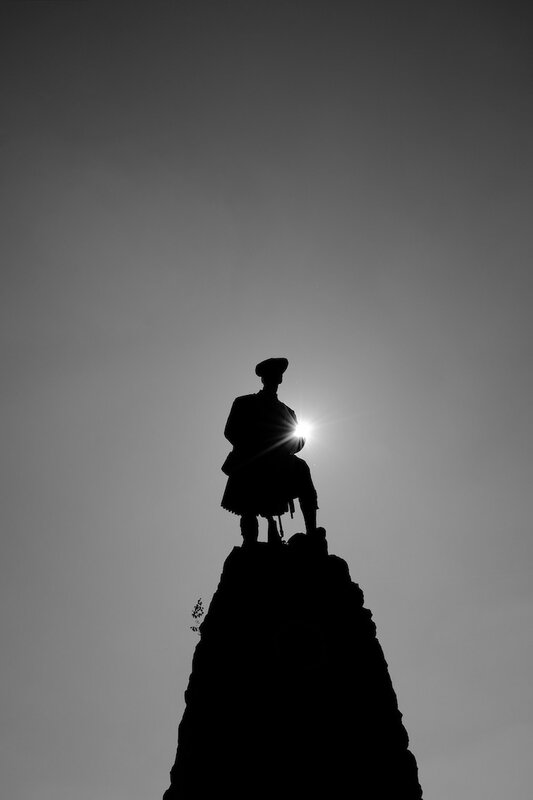 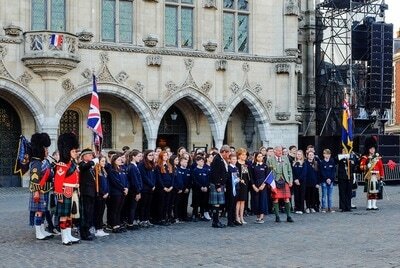 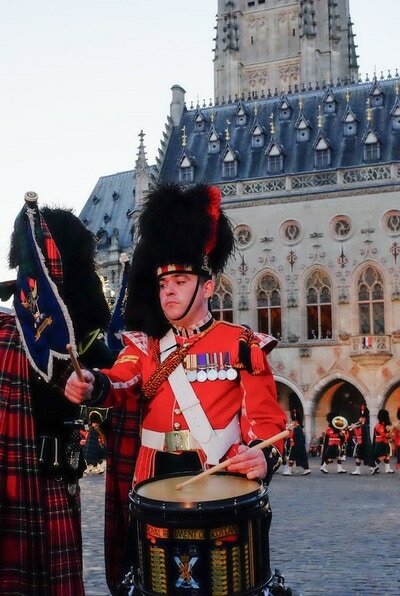 As part of the Scotland WW100 commemorations, two pupils from KGS and students from all over Scotland attended a ceremony in memory of those who fell at the Battle of Arras in 1917. 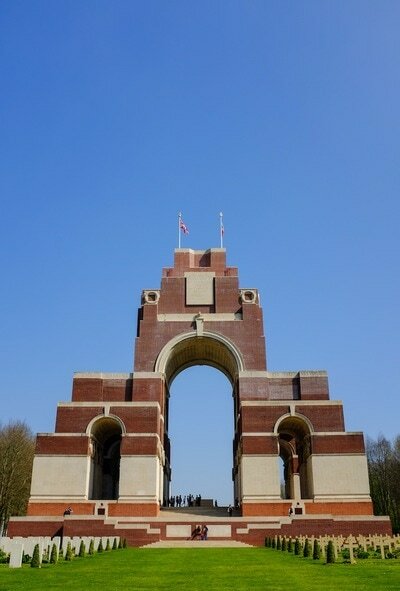 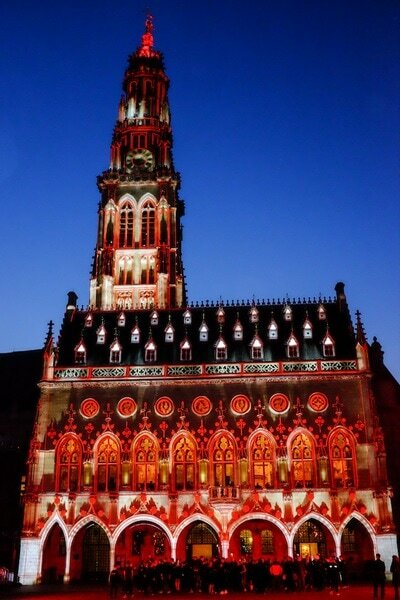 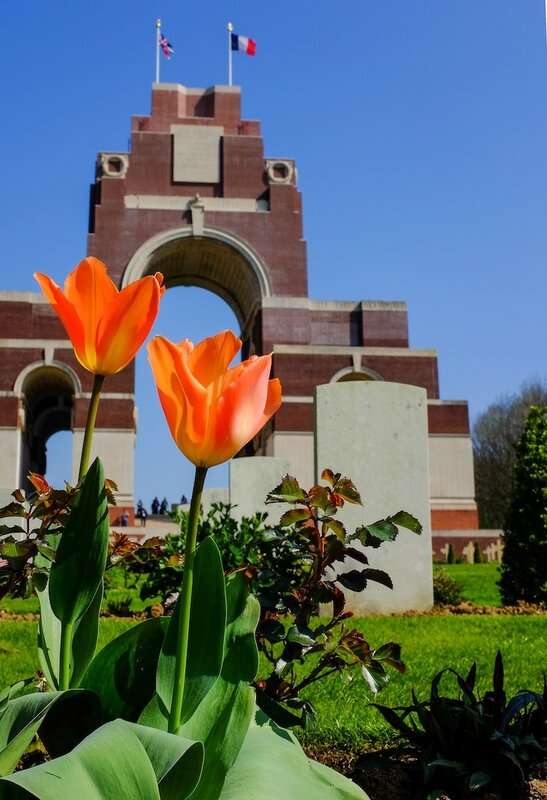 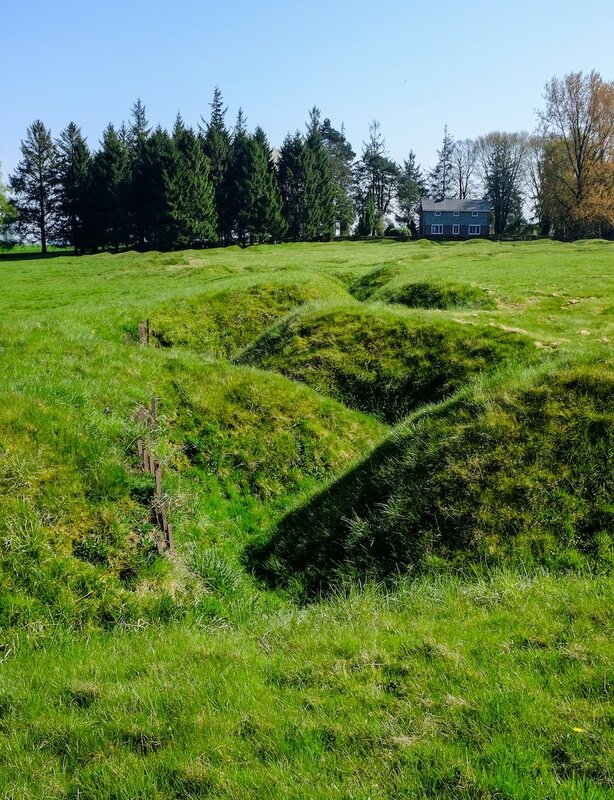 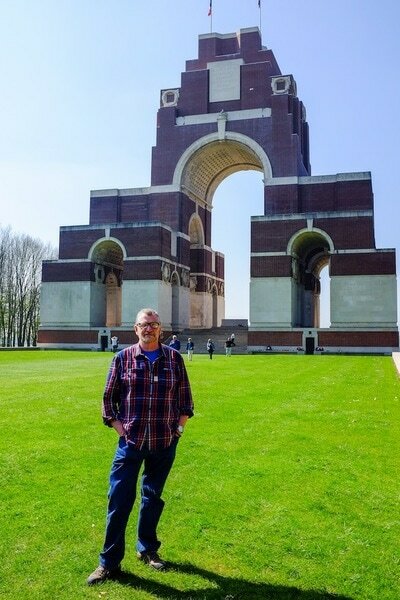 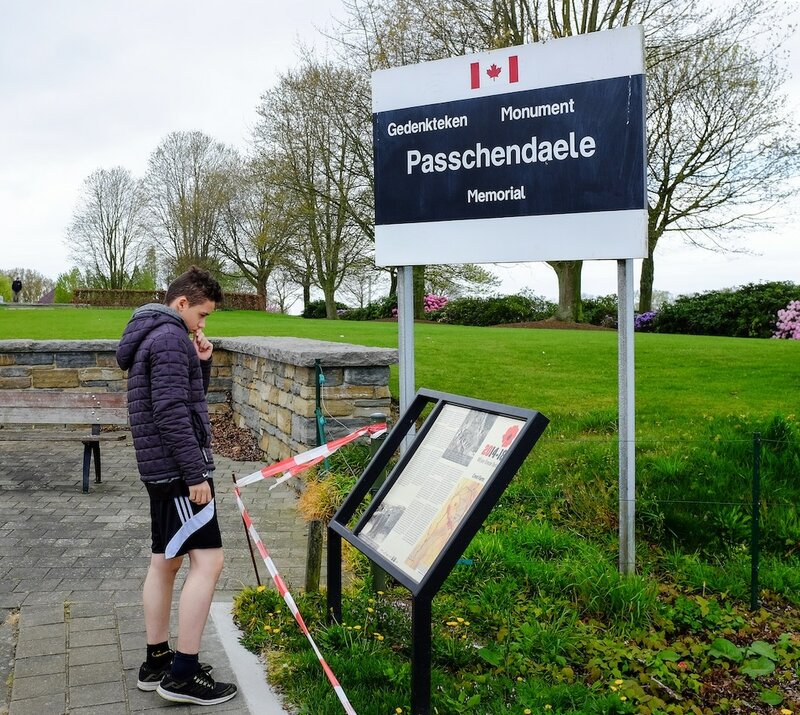 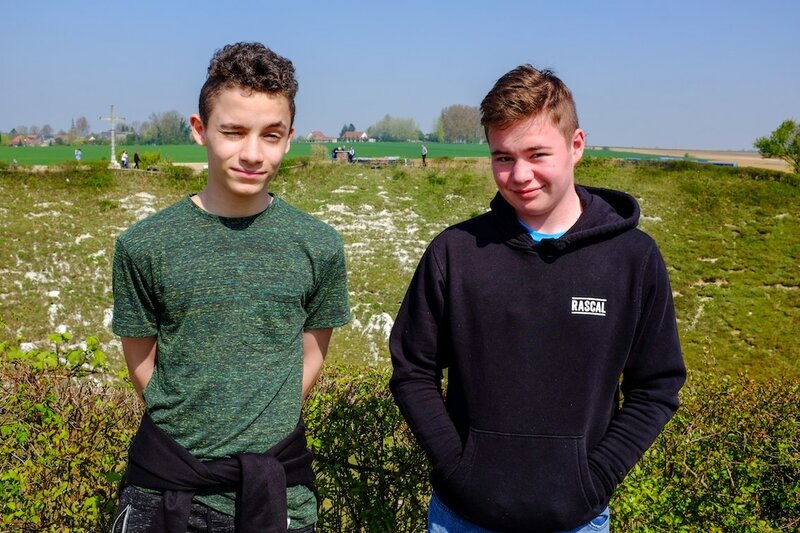 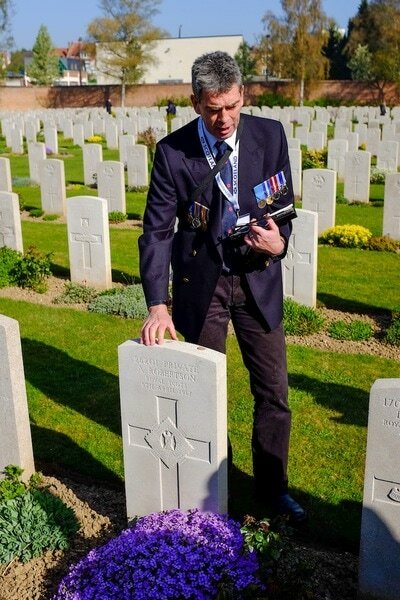 The trip also involved visits to the sites of the Somme, Loos and Passchendaele battles and some of the many cemeteries of war graves in that area. 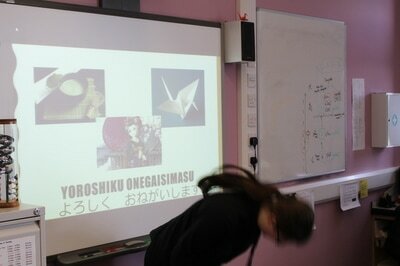 Additional footage can be seen here. 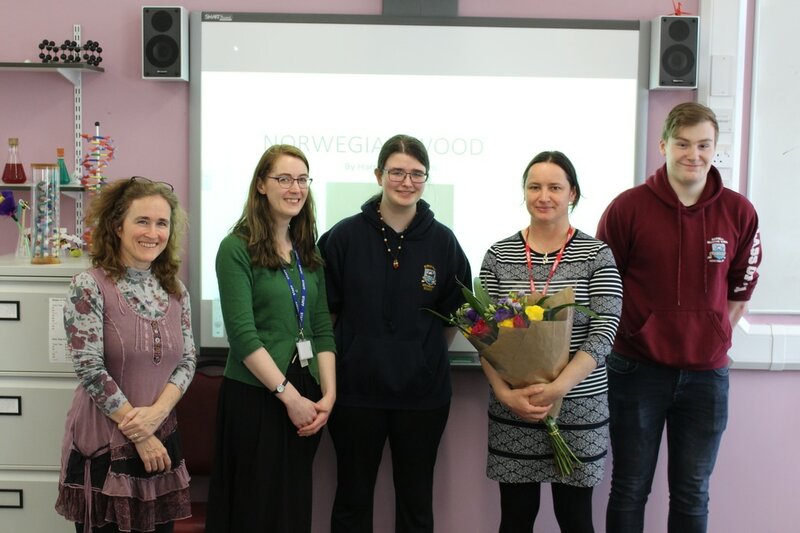 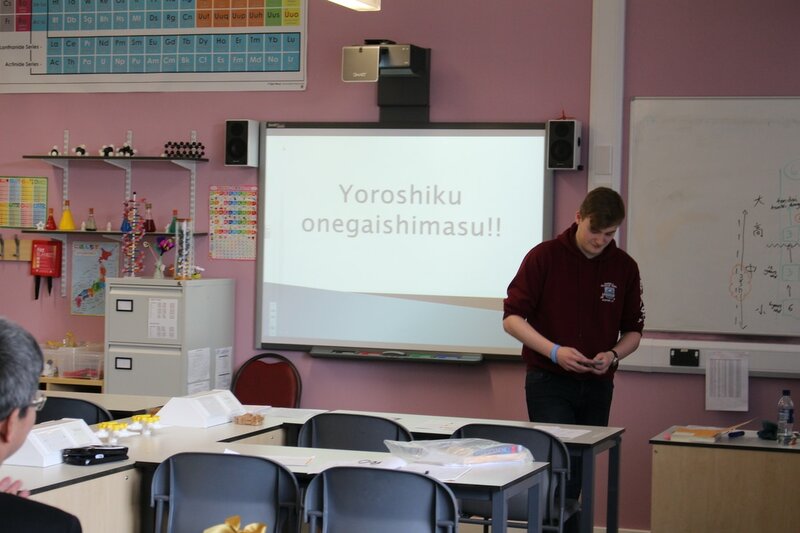 Ms Fiona Lawtie (second from right) was thanked by Emily, Lewis, and Angela, during their last Japanese lesson of the year. 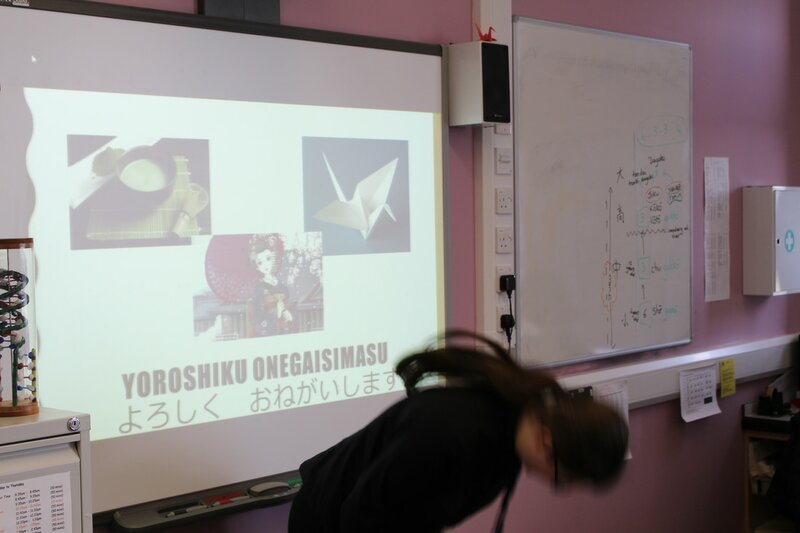 Fiona has taught the Japanese class since November by herself, and worked tirelessly to ensure the best possible teaching. 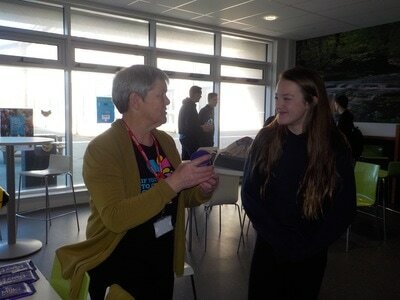 Miss Ferguson is extremely grateful to Fiona for all of her efforts. 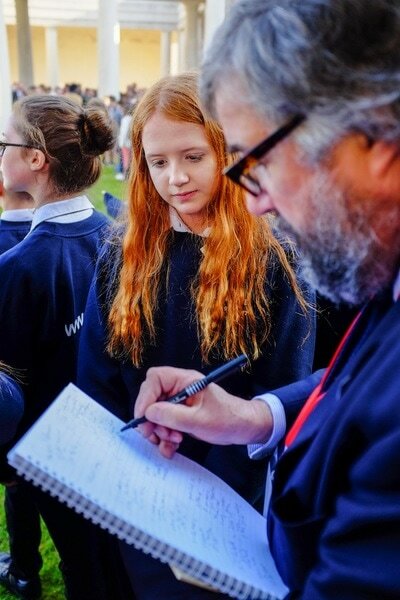 Congratulations to Cara McLean (6F), whose poem 'Stone Mad' was longlisted for this year's Christopher Tower poetry competition. This is the biggest UK poetry competition for schools, and Cara was one of only two entrants from Scottish schools to make the longlist. 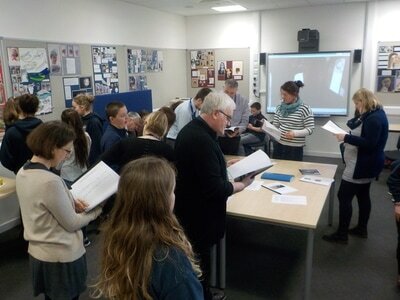 Well done to all KGS pupils who entered poems in this year's competition. 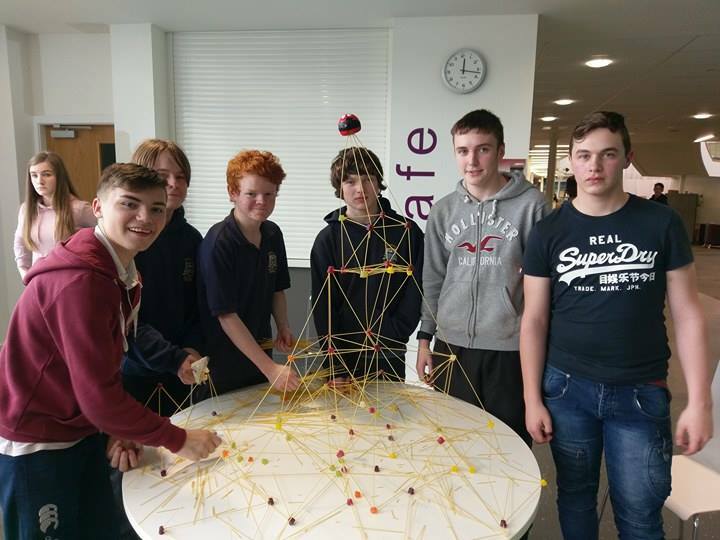 Congratulations to the winning team whose dedication, patience and careful engineering built the strongest and tallest tower in Eynhallow's recent spaghetti tower building competition. 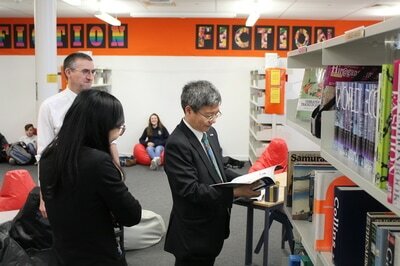 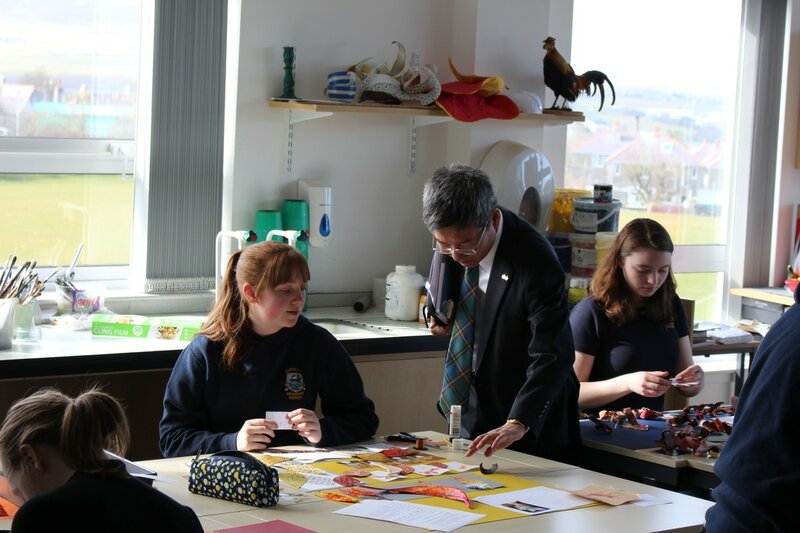 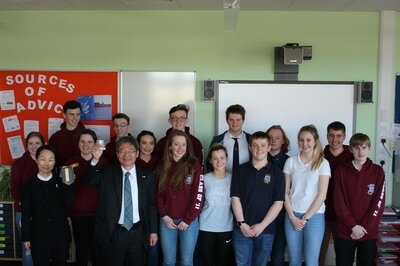 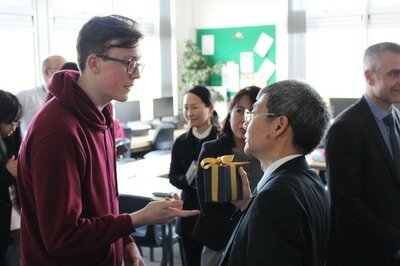 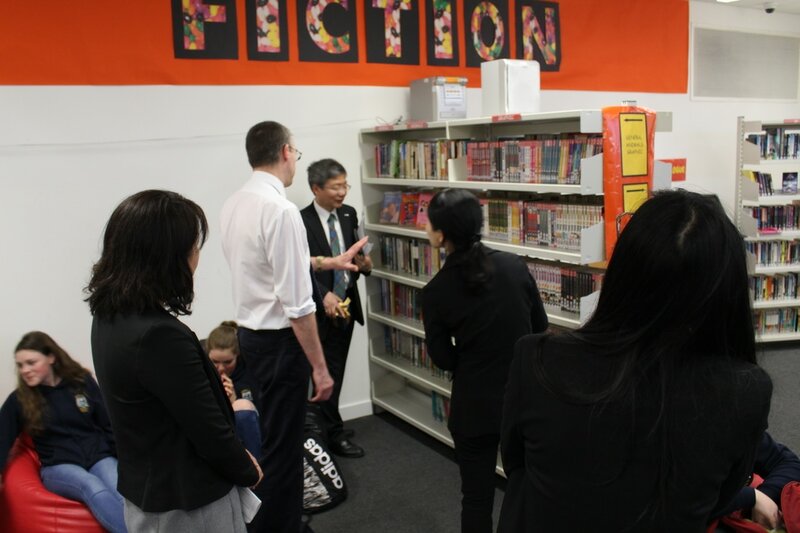 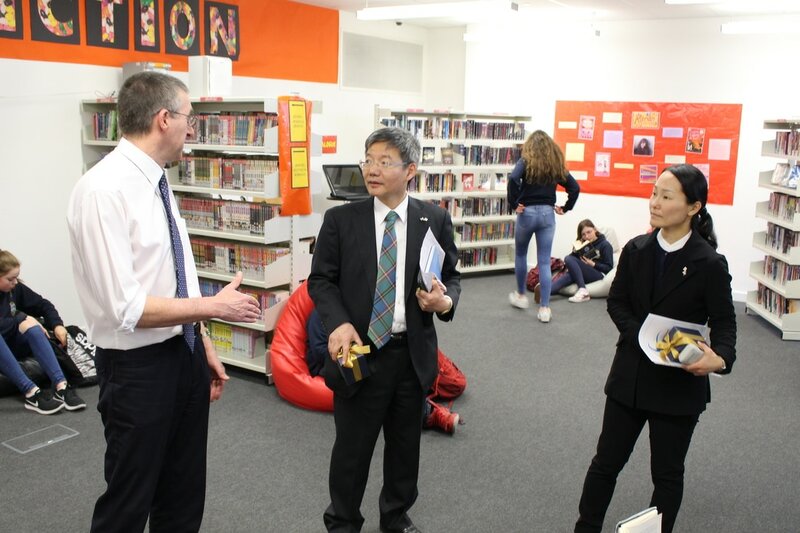 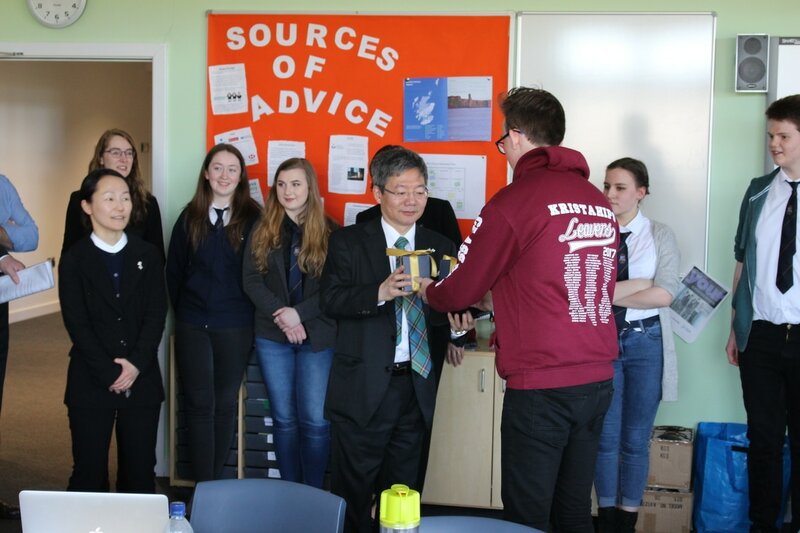 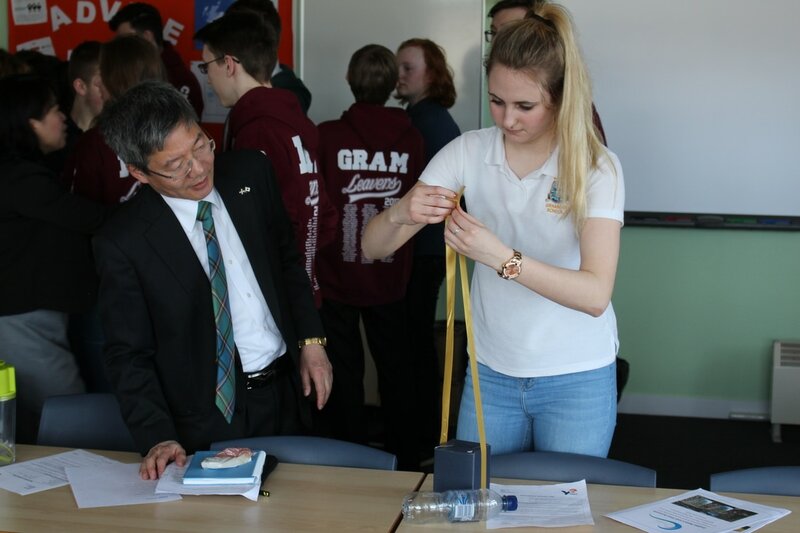 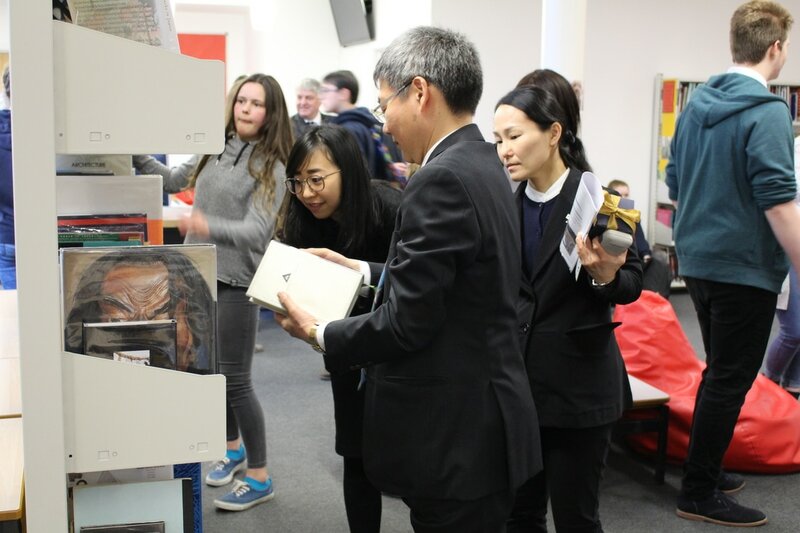 Matsunaga san, the Japanese Emperor's consular representative in Scotland, came to KGS yesterday with a group of Japanese and Scottish visitors. 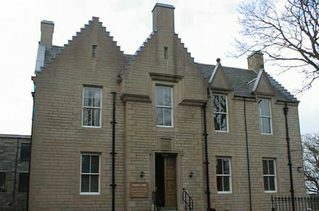 Along with his party. 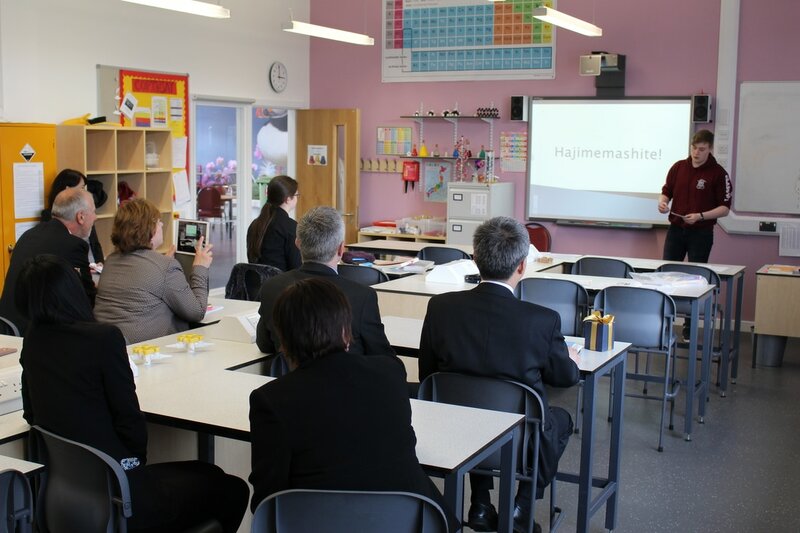 he was greeted by music from Hadirgaan, given lunch and a tour of the school, presented with gifts by YE company Drekka, and spent time with both the Japanese class taught by Miss Ferguson and Fiona Lawtie, and the Manga Club. 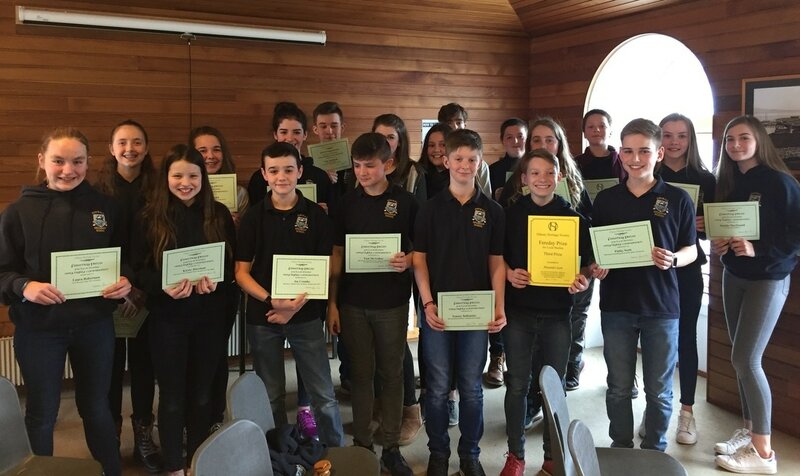 Altogether 19 S2 pupils received certificates at the ceremony, bringing great credit to themselves, their teachers and KGS. Congratulations to Andrew Harvey and Maya Tams-Gray, who took first place in the COPFS Public Speaking Competition at the Sheriff Court on Saturday. 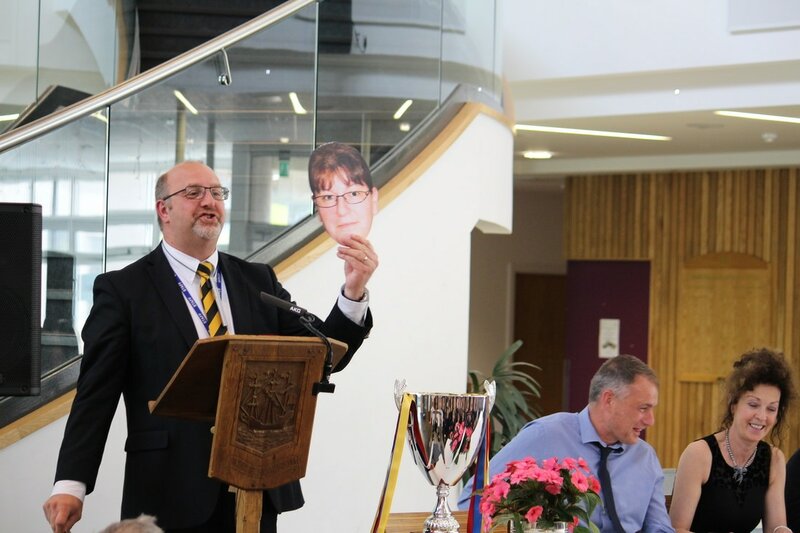 COPFS is the Crown Office and Procurator Fiscal Service, and the event was organised and chaired by Sue Foard, Procurator Fiscal for Orkney. 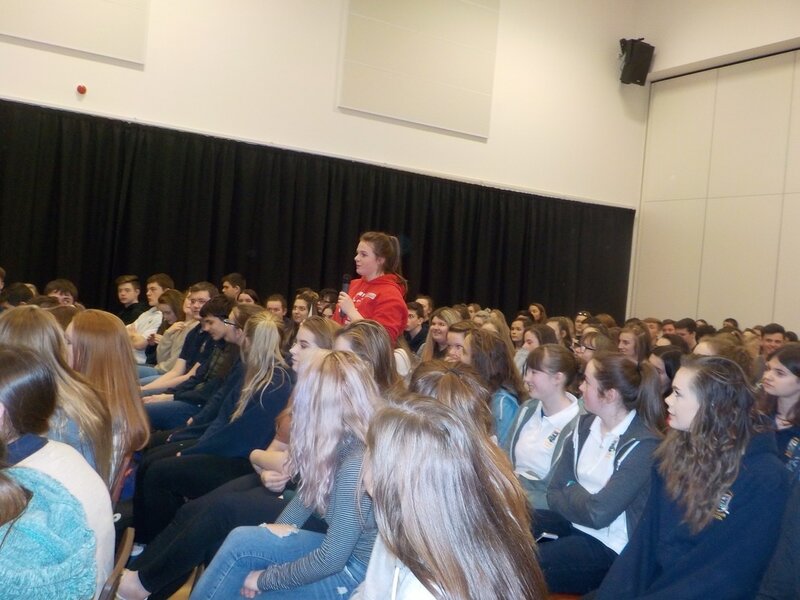 The KGS pupils were up against two teams from Sanday and all had to speak on the theme 'Bullying is simply a part of growing up'. Faced with the daunting task of speaking from the witness stand, all six participants confidently delivered well-thought-out speeches covering all aspects of the topic. 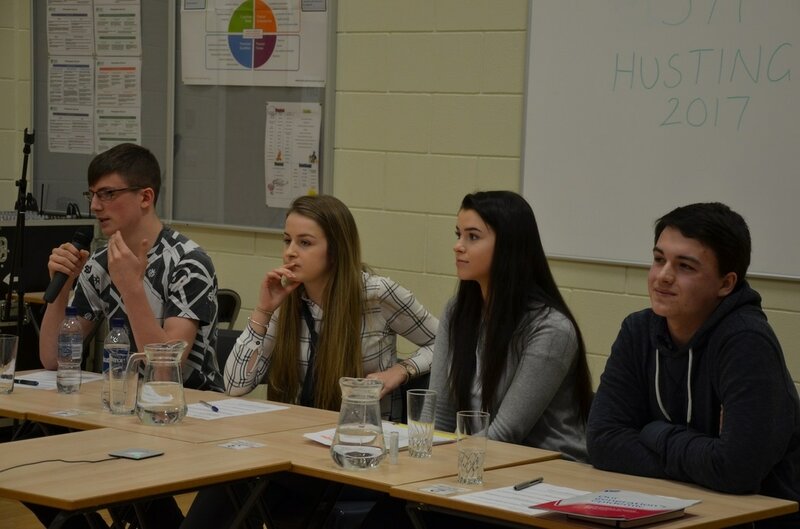 The judges, Debbie Sutherland of Y People Orkney and James Wylie, OIC Head of Education and Improvement, then retired to consider their verdict. The length of their deliberations was evidence of just how close a contest it was. After rightly praising all the speakers and detailing the strengths of their performances, they announced that Andrew and Maya were the winners and presented them with the trophy. They particularly commended them for their engagement with, and impact on, the audience and for the way their speeches complemented each other. 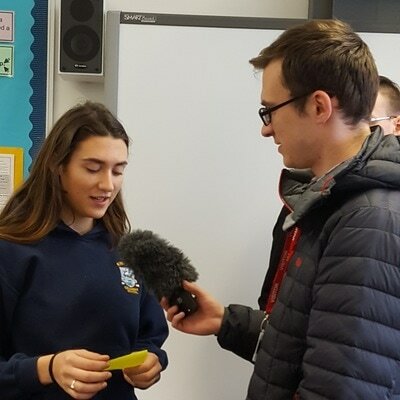 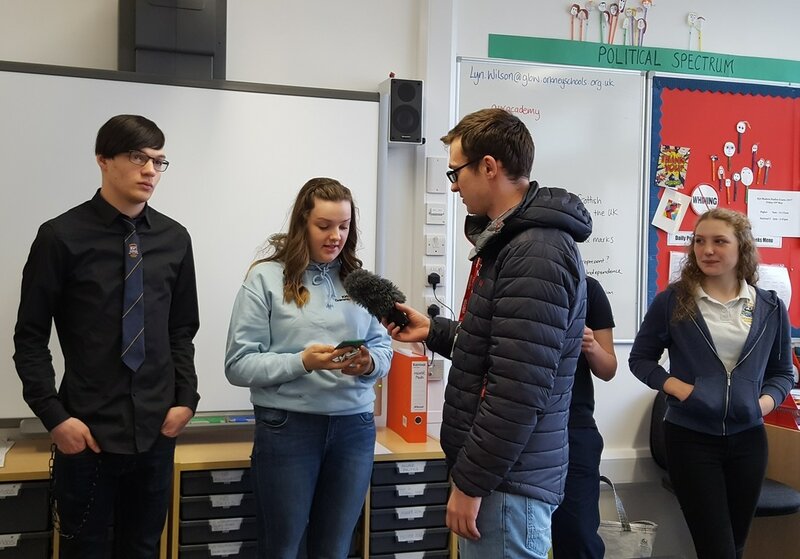 The winners were then joined by Miss Tennent, who with help from Miss Perry and Mr Curran had prepared the pupils for the competition, to be photographed for the Orcadian. Courtesy of the Fairtrade Steering Group, workers from the Co-operative on Albert Street paid a vist to KGS to lead a Fairtrade assembly as part of activities to mark Fairtrade Fortnight 2017. They set up a Fairtrade goods stall for Health Week 2017 after the assembly, offering free taster Fairtrade products to students. 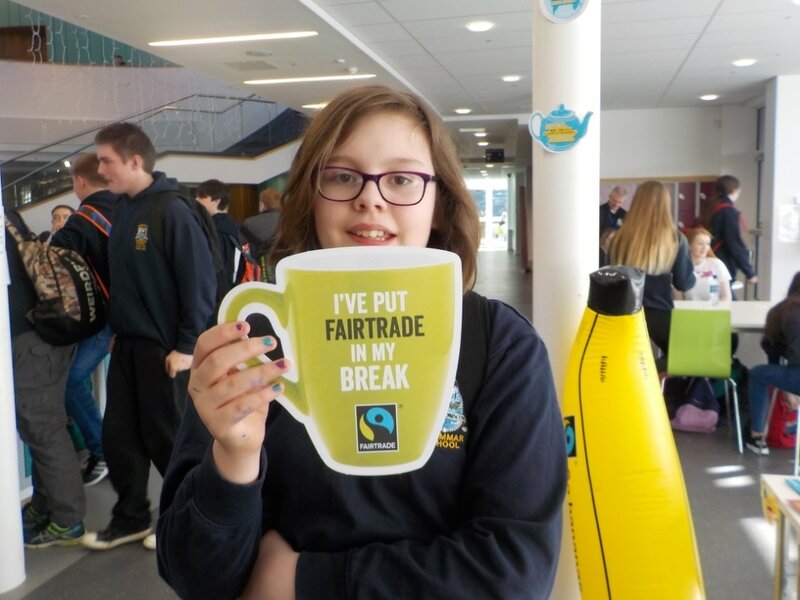 We were also fortunate to have pupils from Papdale Primary School (who are learning about Fairtrade and how to make their school a Fairtrade school) join us for the assembly. 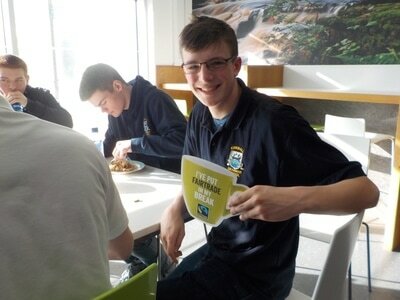 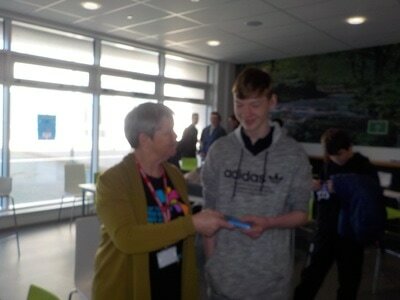 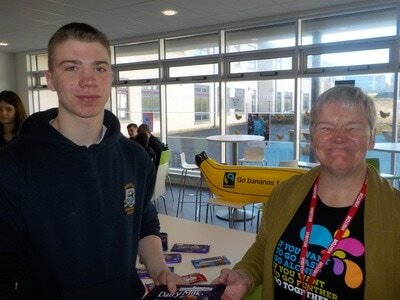 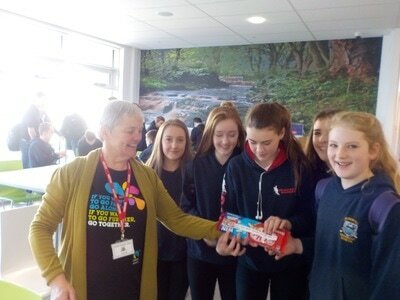 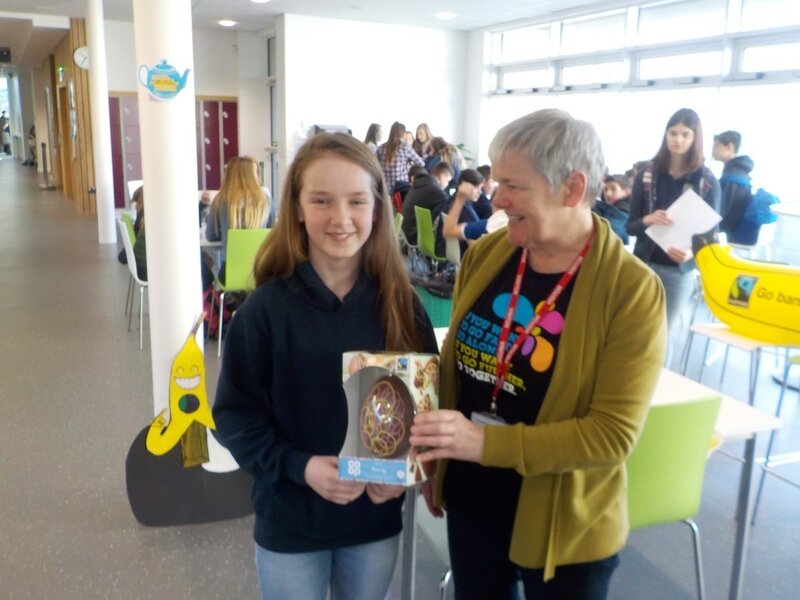 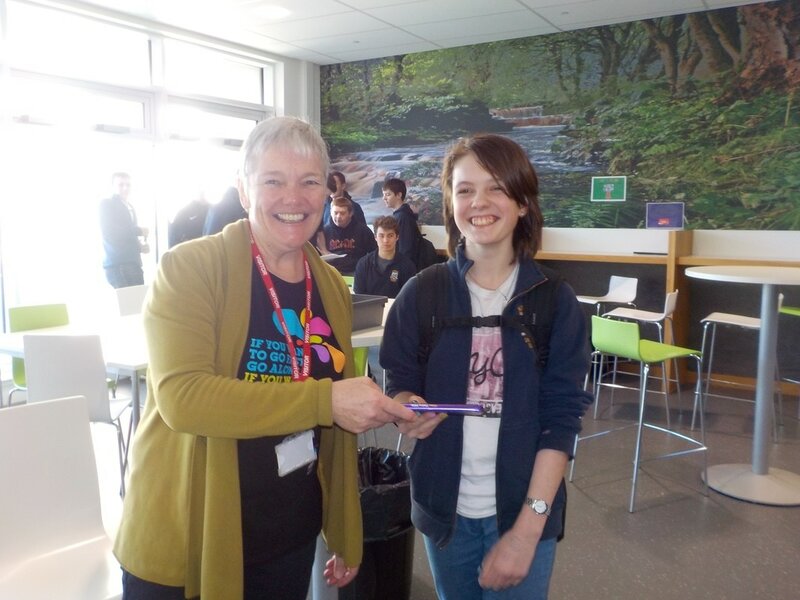 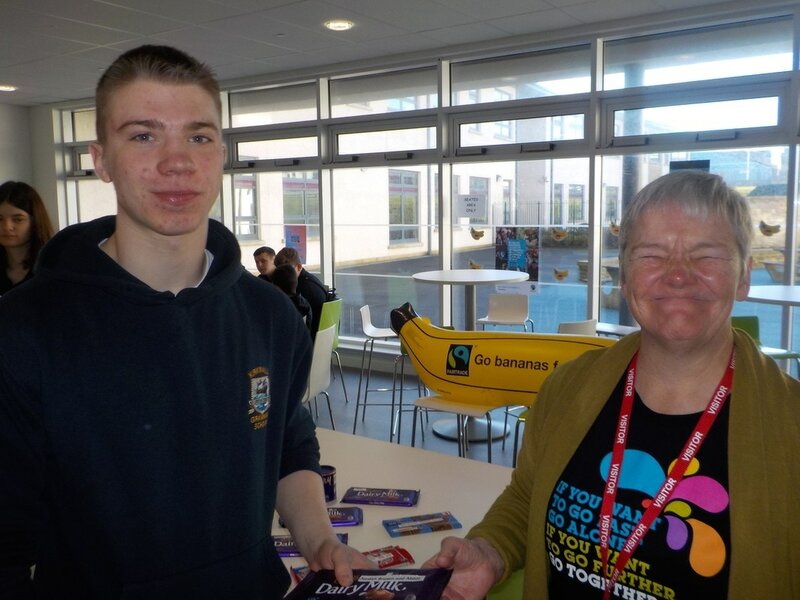 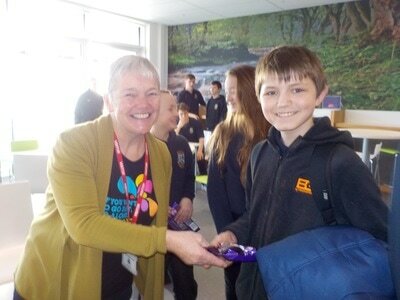 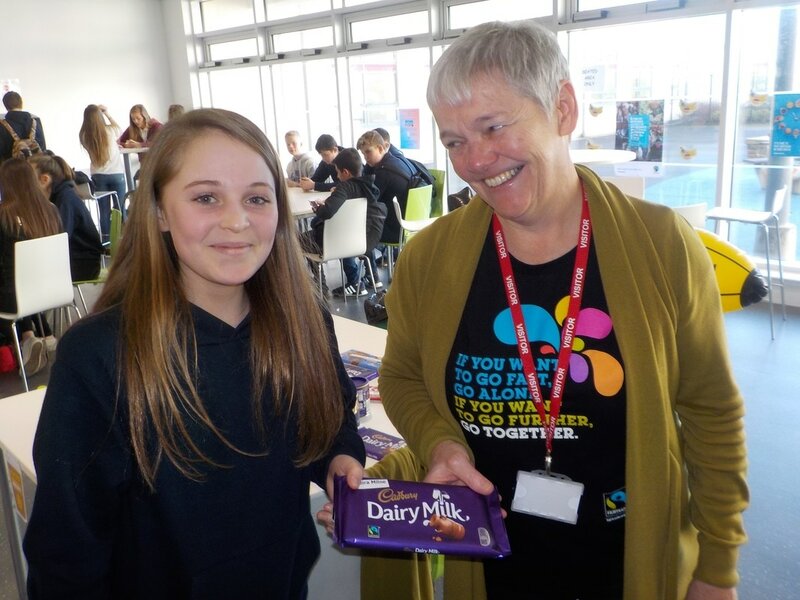 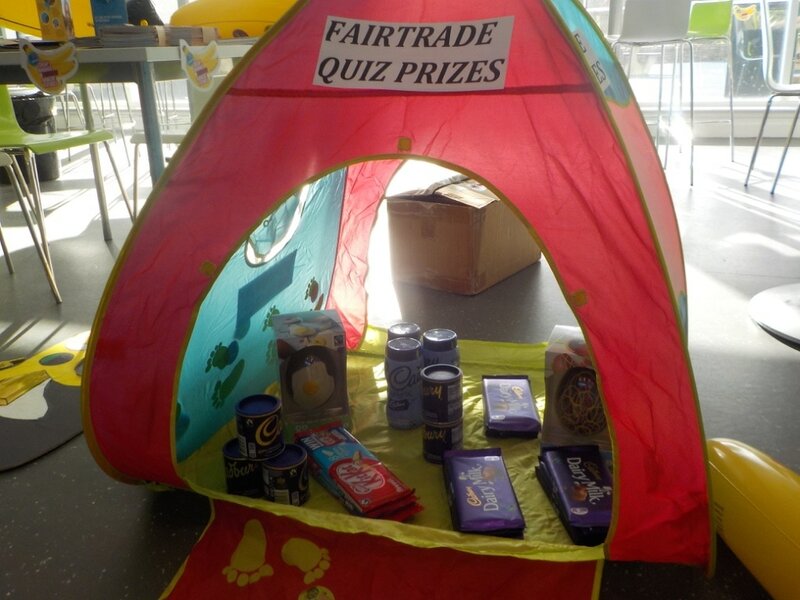 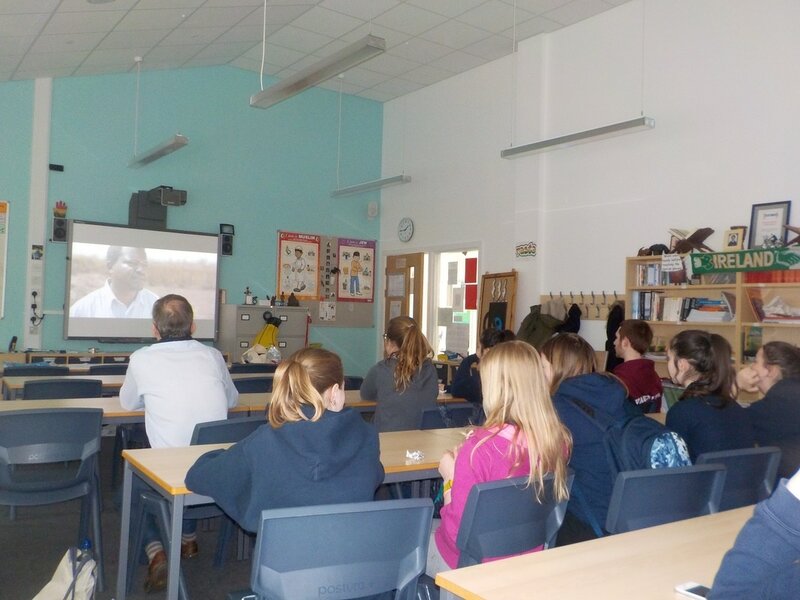 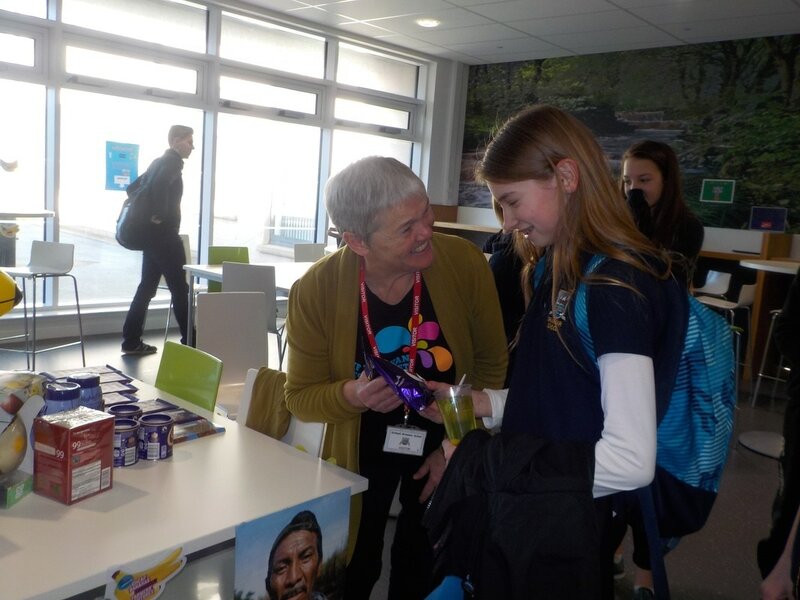 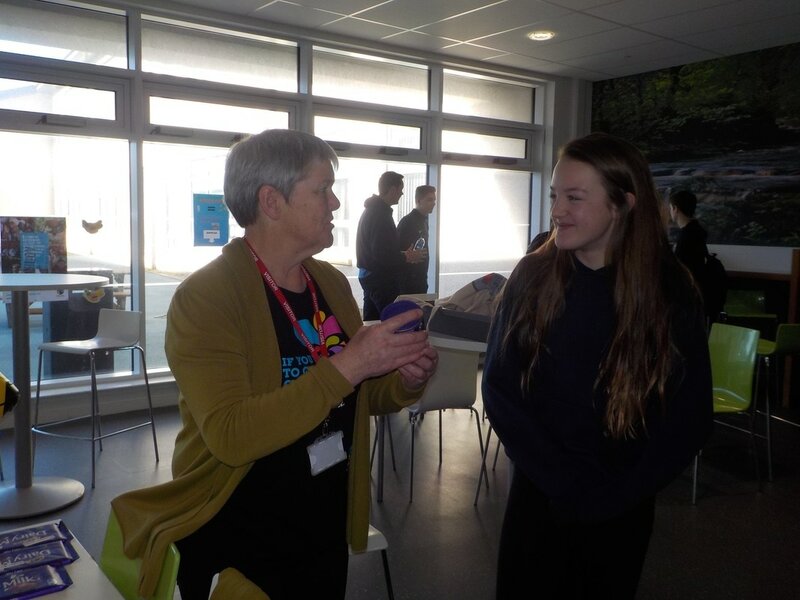 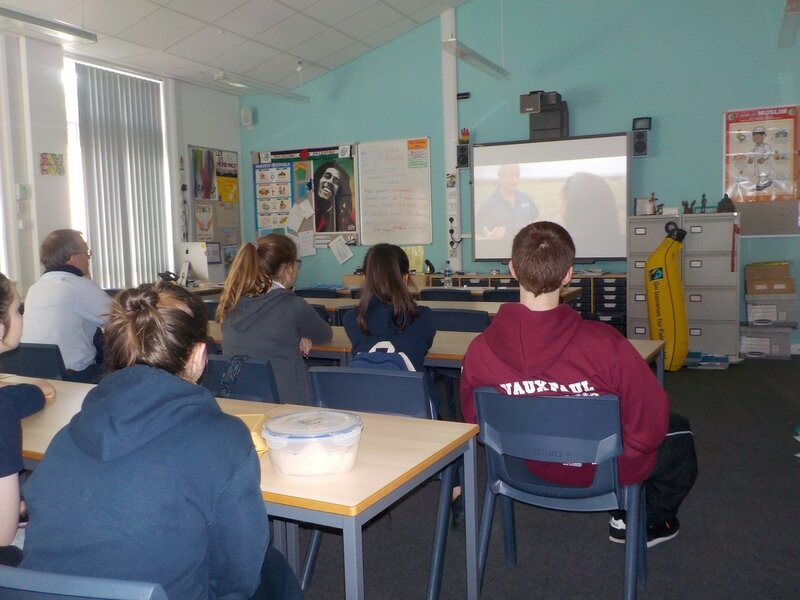 The Steering Group also screened a movie and organised a quiz, with Gill Smee, the Orkney Fairtrade Chairperson, coming in to hand out prizes. 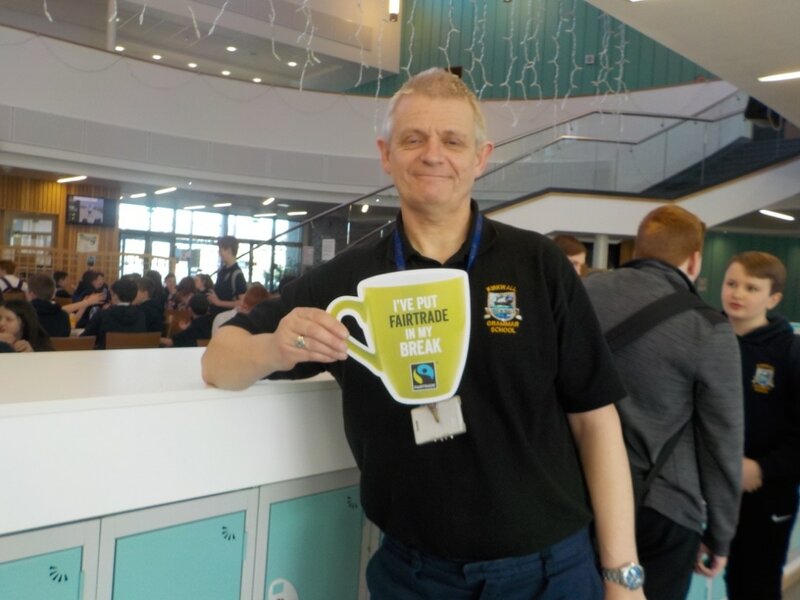 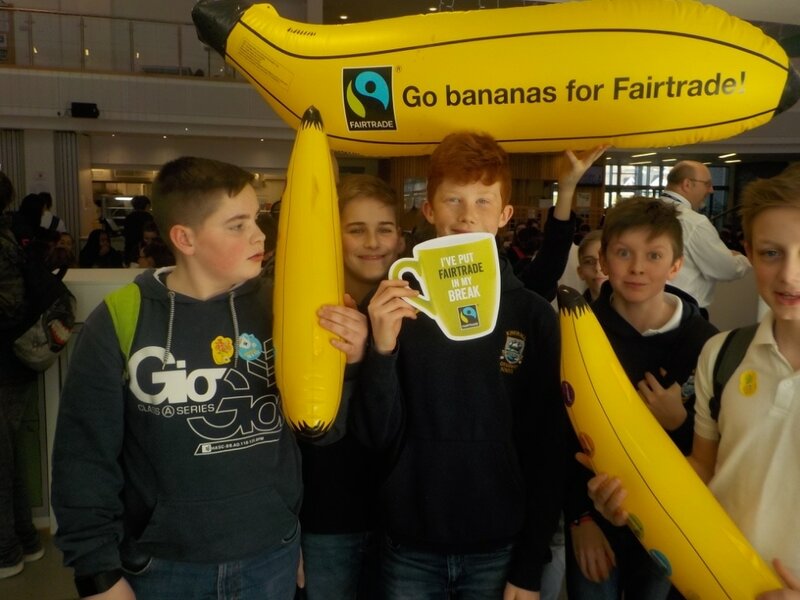 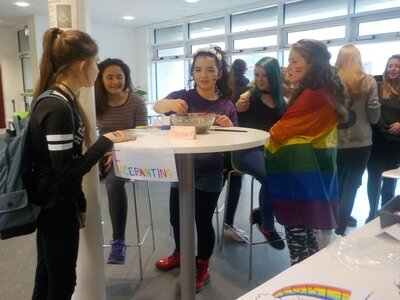 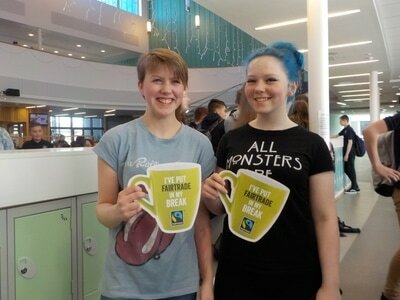 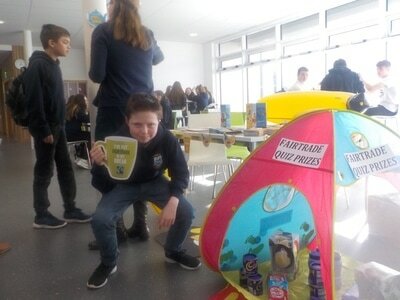 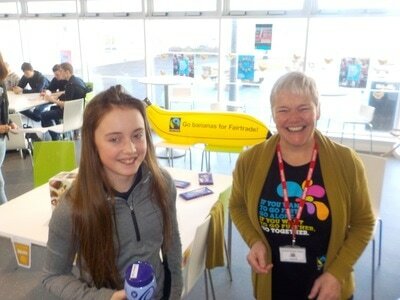 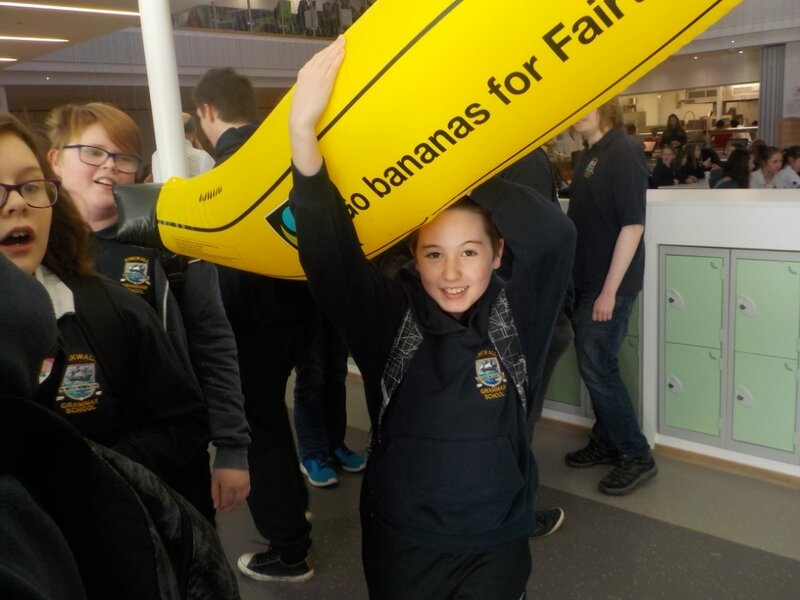 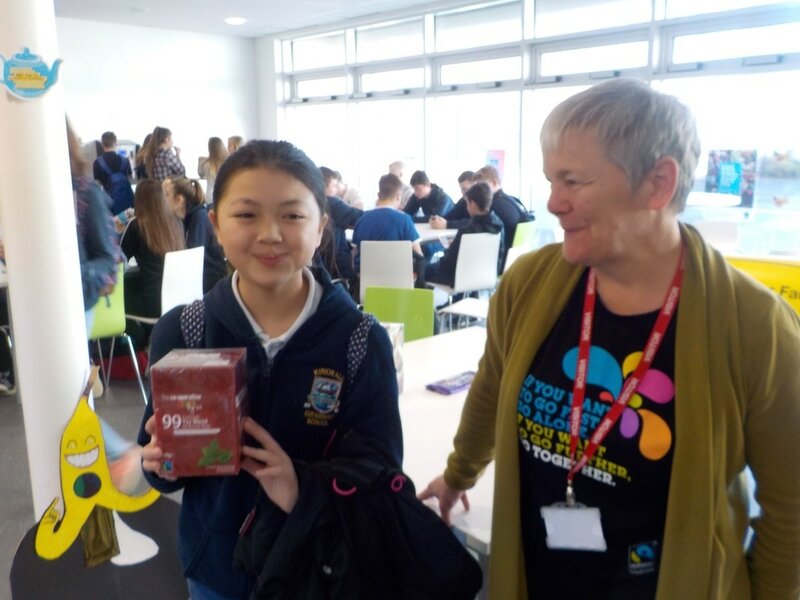 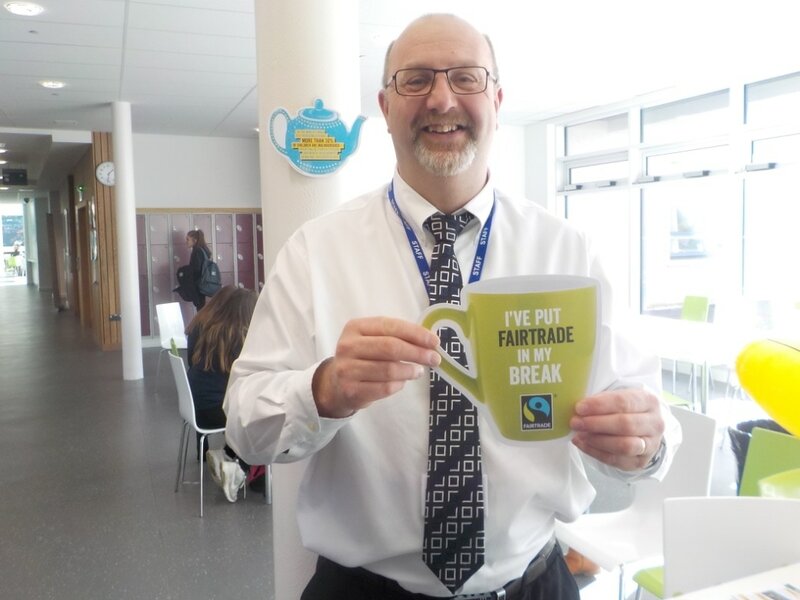 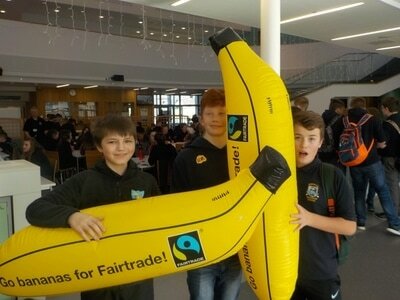 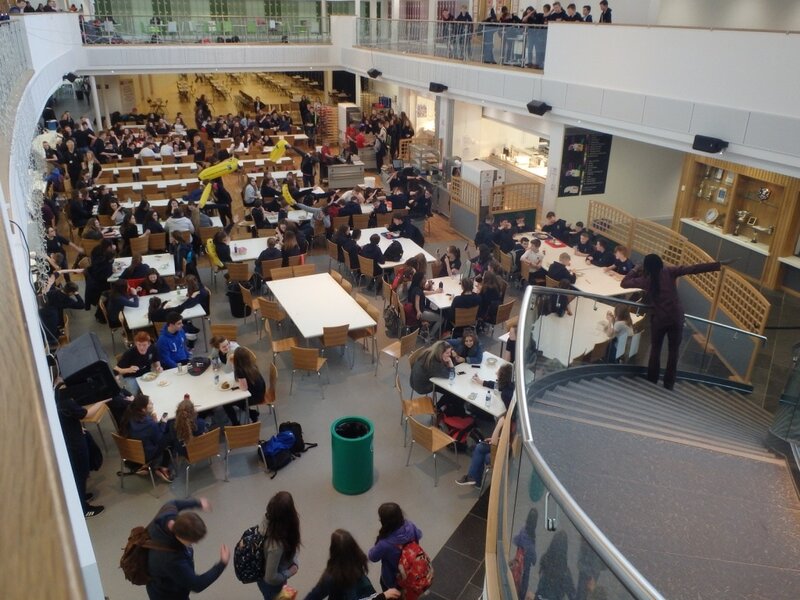 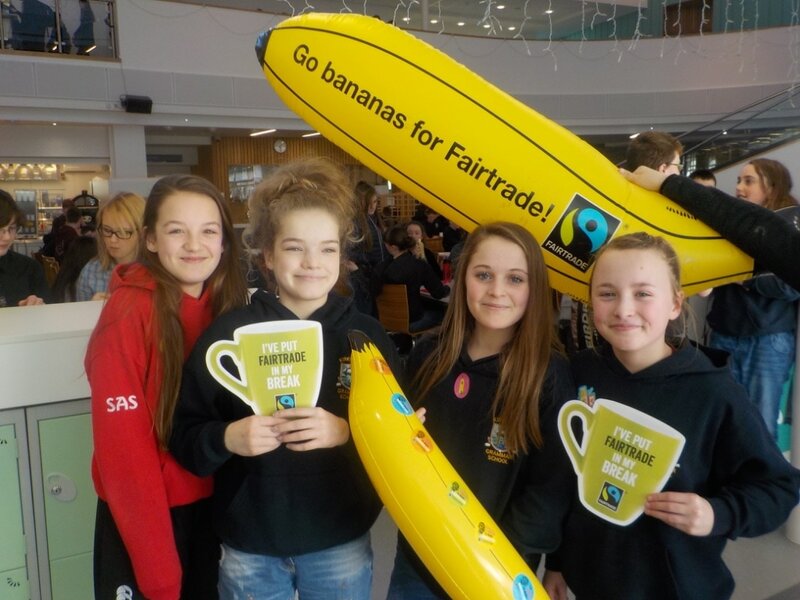 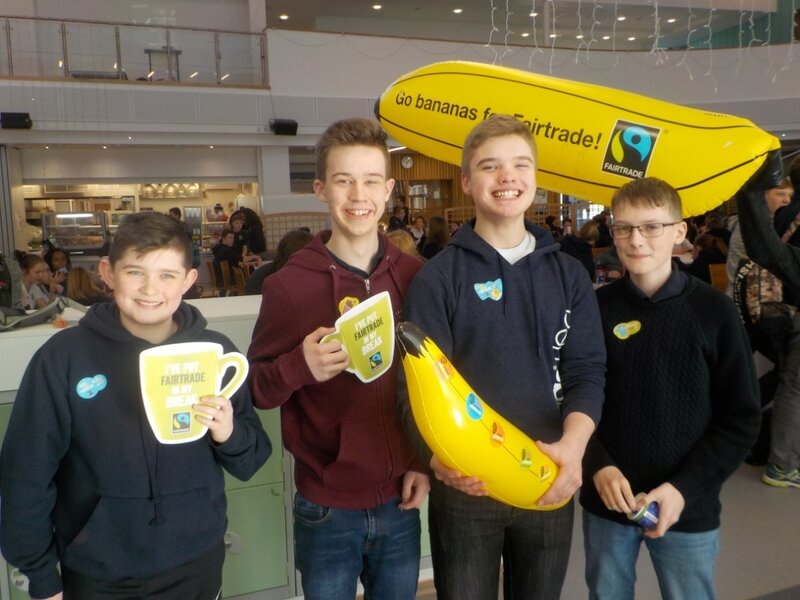 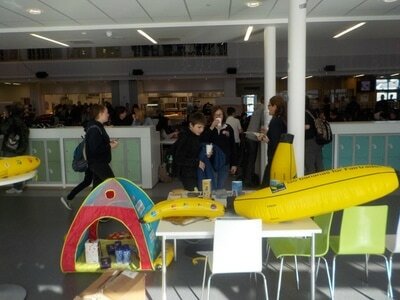 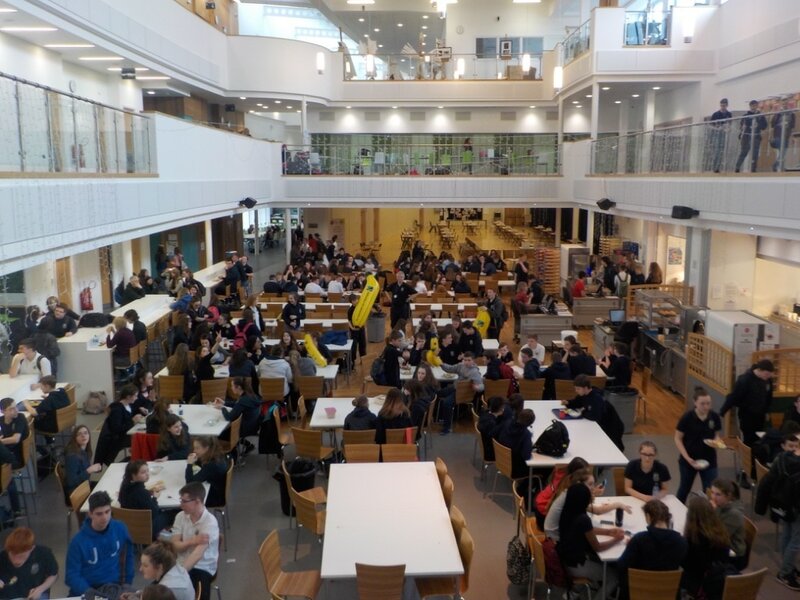 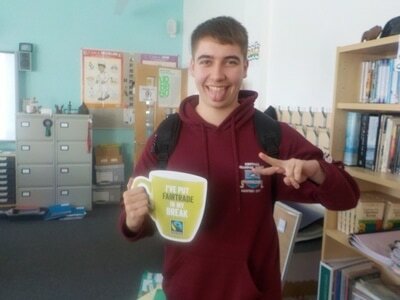 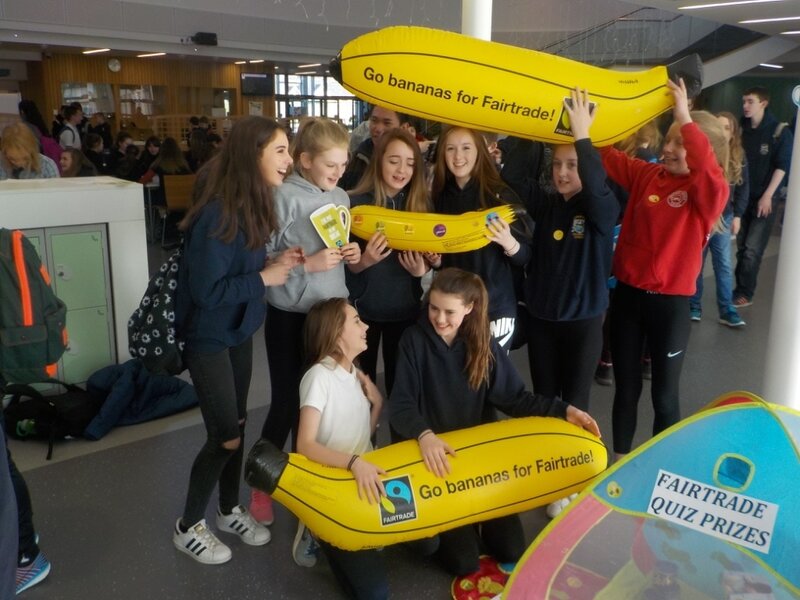 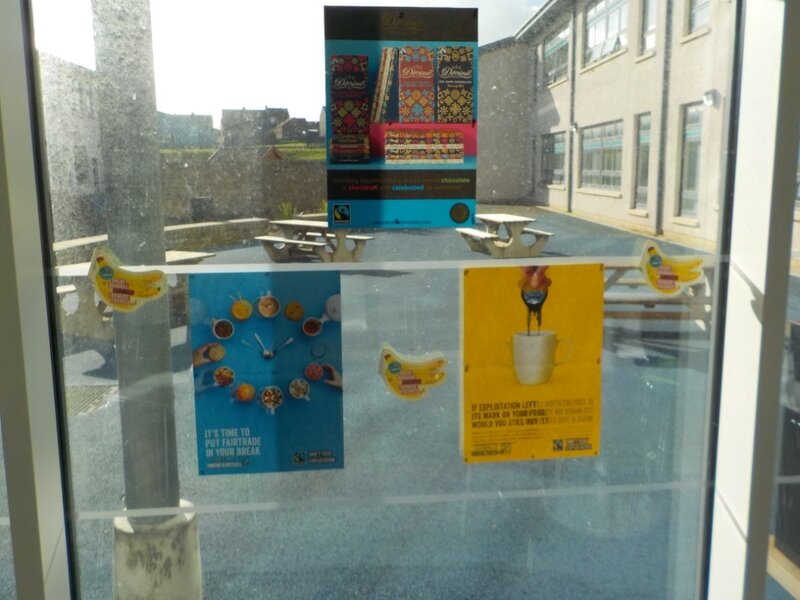 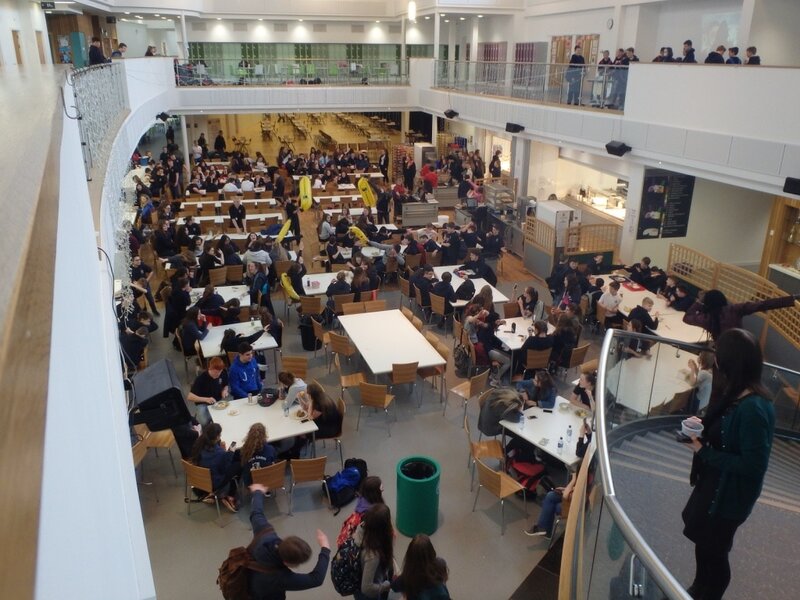 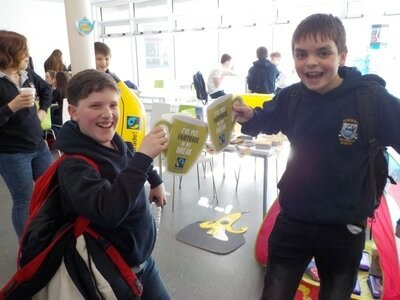 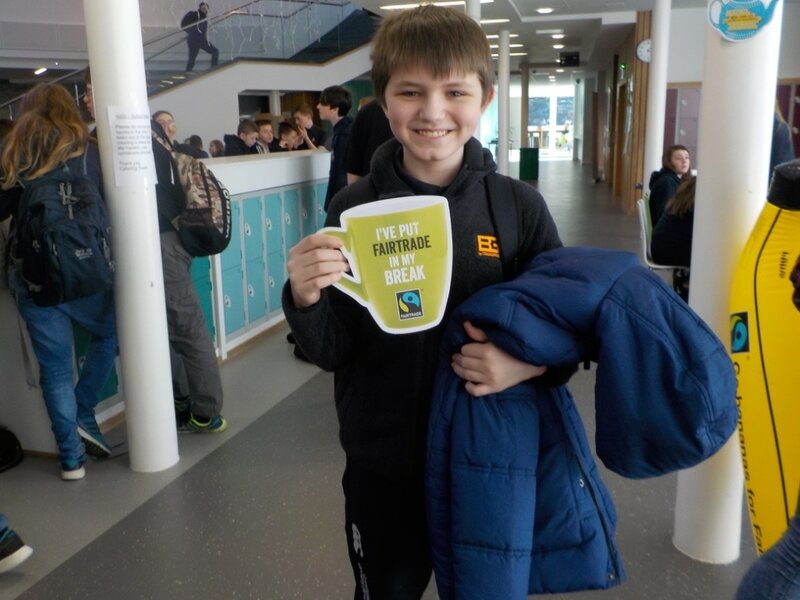 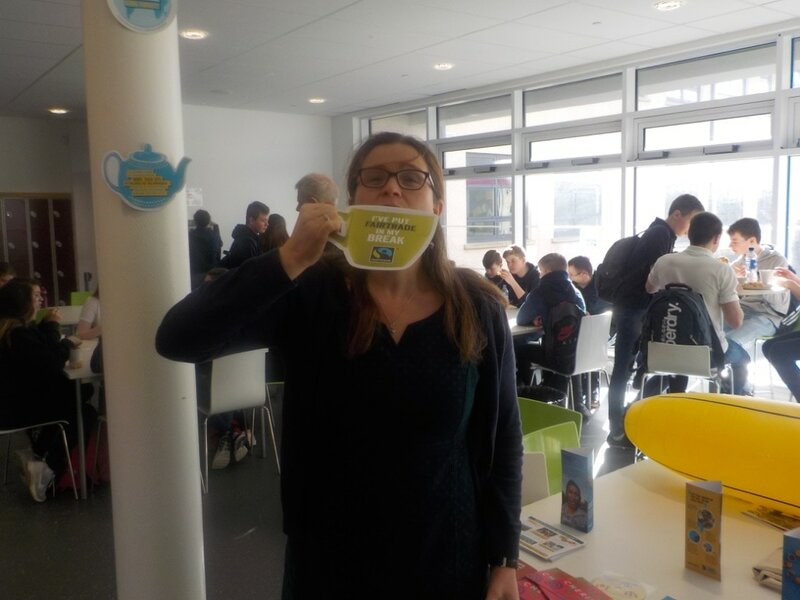 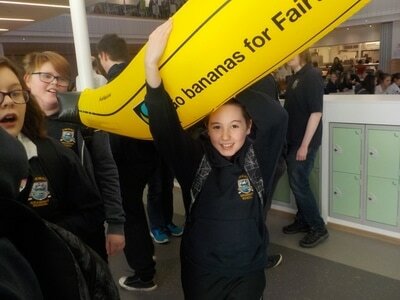 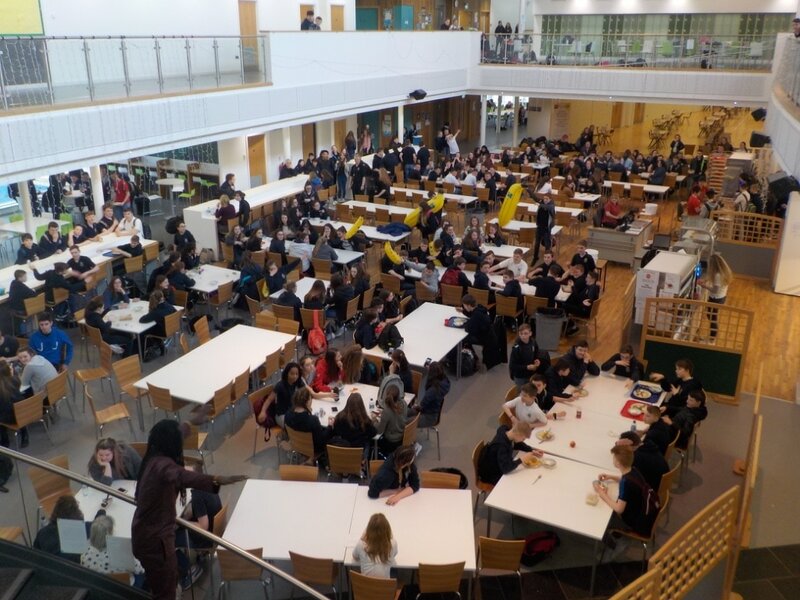 The group also gave out FREE Fairtrade banana/chocolate smoothies to thank staff and pupils for taking part in the activities to mark Fairtrade Fortnight 2017. A number of KGS pupils today completed the registration process which will allow them to vote in the upcoming council elections. 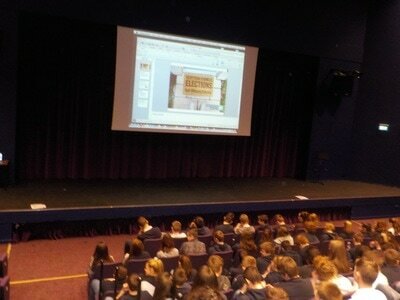 This followed a presentation to senior pupils earlier in the week. 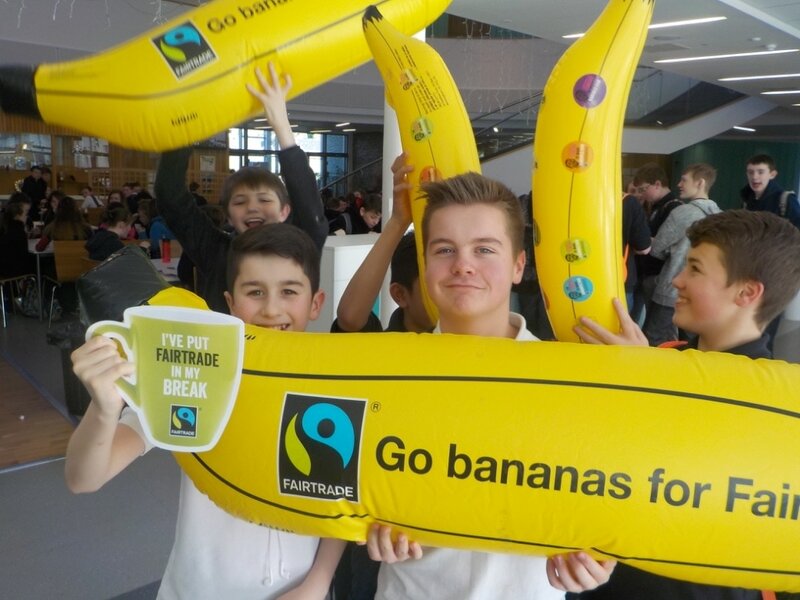 KGS joined thousands of others across the UK during Fairtrade Fortnight to help our friends, neighbours, colleagues and communities by DABBING FOR FAIRTRADE to put Fairtrade in our break and take exploitation out. 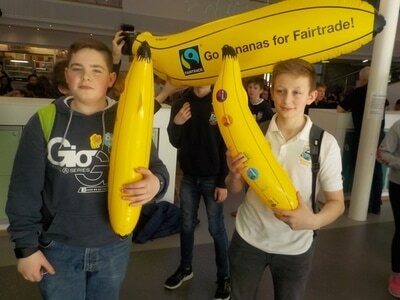 However hard they work to provide the things we depend on, millions of farmers in developing countries aren’t paid what they deserve. It’s not a new problem. 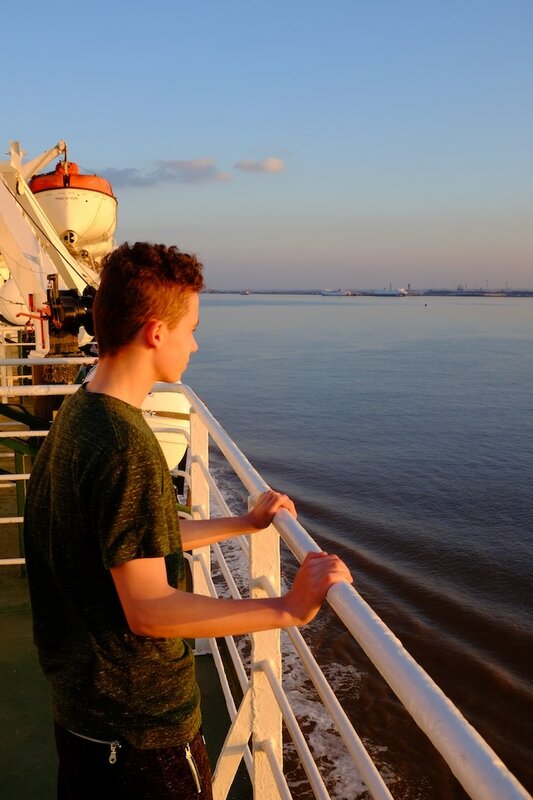 We need to amplify the voices of marginalised producers as much as ever in 2017. 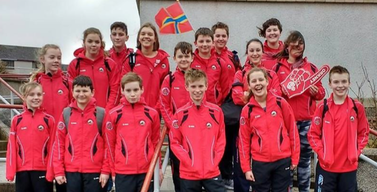 A number of KGS pupils performed superbly while representing Orkney Swimming Club in meets in Lerwick and Aberdeen recently. There were PBs and medals galore in Lerwick after a pre-meet training day with coach Inga Burton. 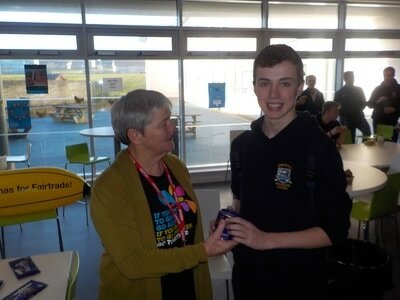 Emma Henderson and Kieran Smith took golds in the 100m Breaststroke and 100m Butterfly respectively. 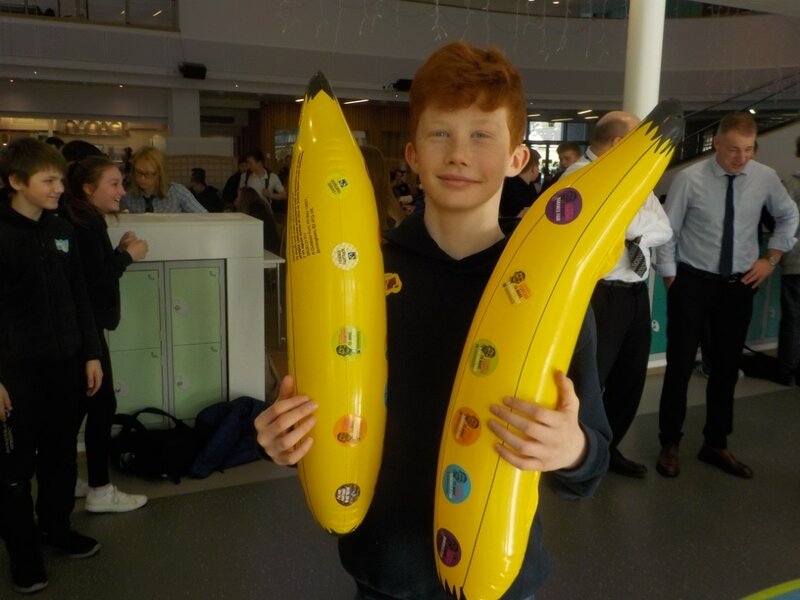 The Club also had a great weekend at the Northern District Age Group Championships in Aberdeen, with some excellent PBs, no less than 13 new Orkney long course records, two gold medals, two silvers and three bronzes. 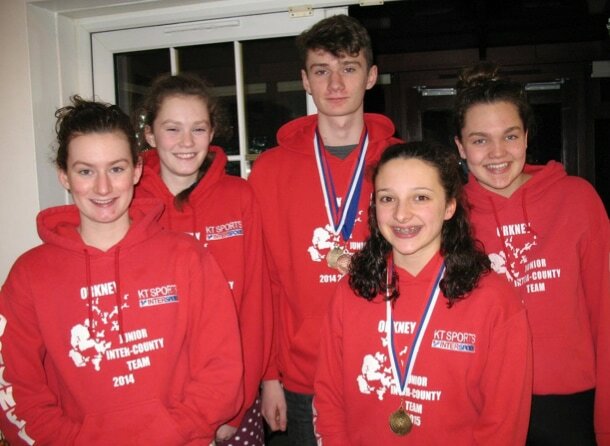 Fantastic results, and all credit to the swimmers and their coaches, Ben Delaney and Neil Blance. 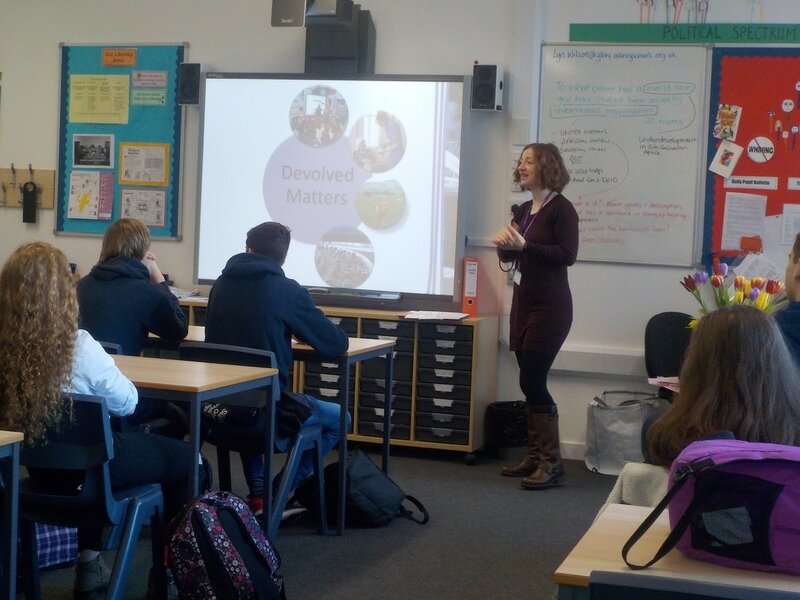 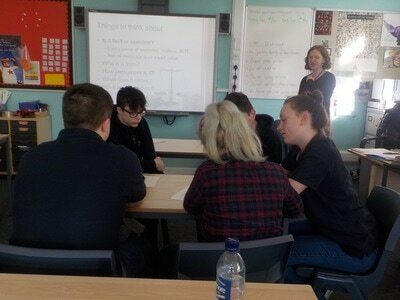 Angela McGarrigle, Outreach Officer with the Scottish parliament was in KGS today delivering sessions to senior pupils in Modern Studies about the work of Committees in the parliament and the role of MSPs. 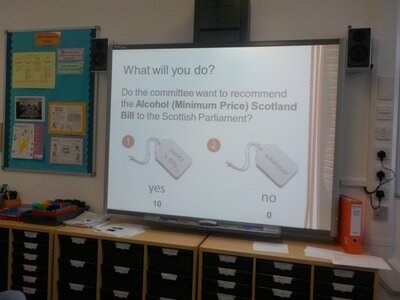 S4 pupils worked in teams and built on their decision making skills by considering the implementation of a minimum price on alcohol. 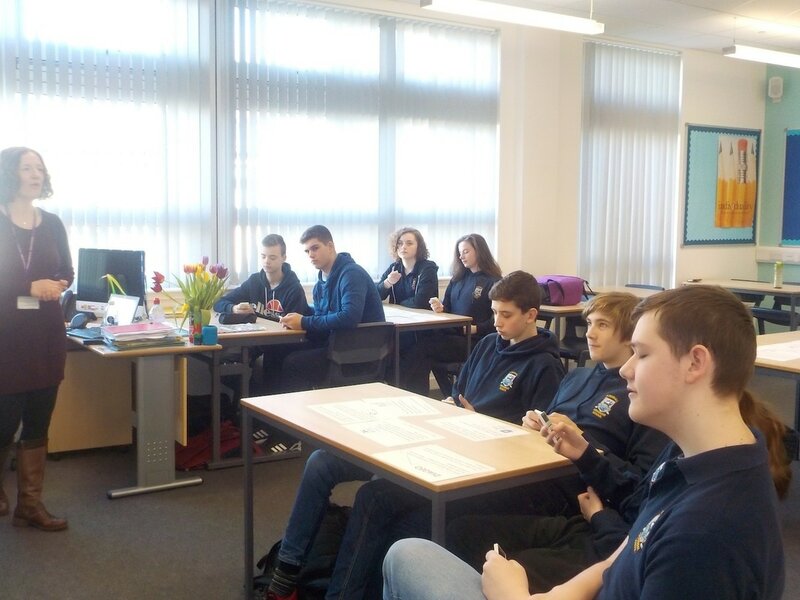 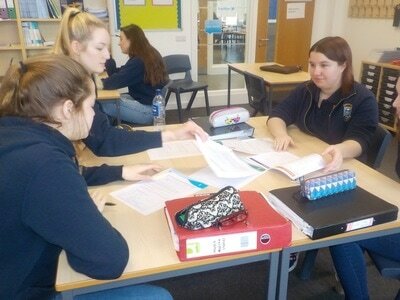 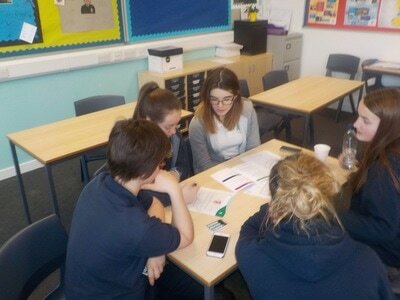 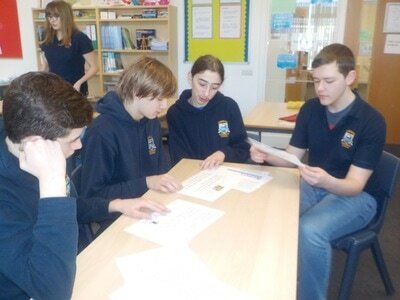 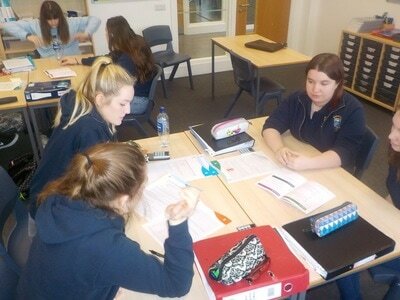 S5 and S6 pupils worked together to consider how MSPs are able to prioritise their caseload. 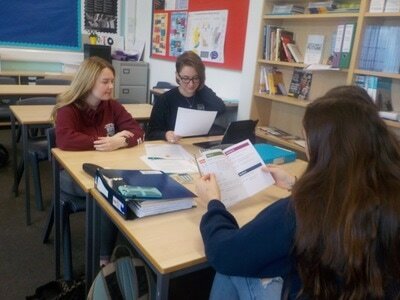 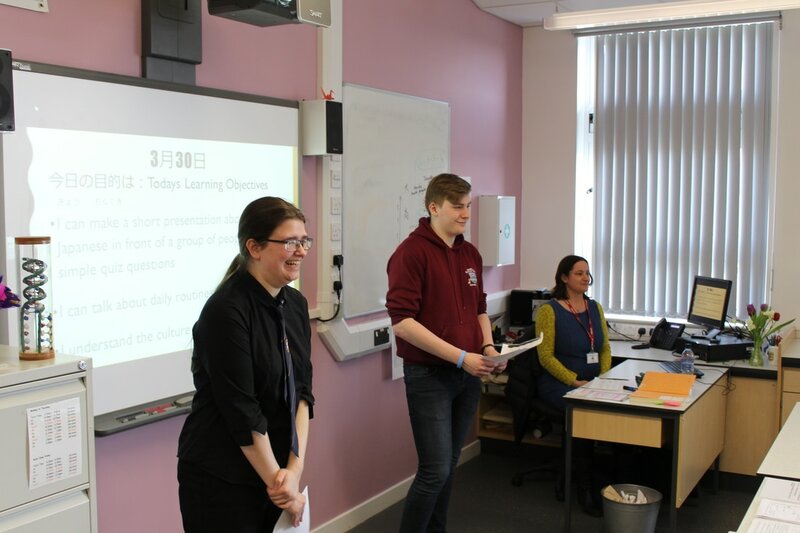 The pupils enjoyed the input as it enhanced their understanding of the 'Democracy in Scotland' topic they are studying as part of the National 5 and Higher Modern Studies courses. 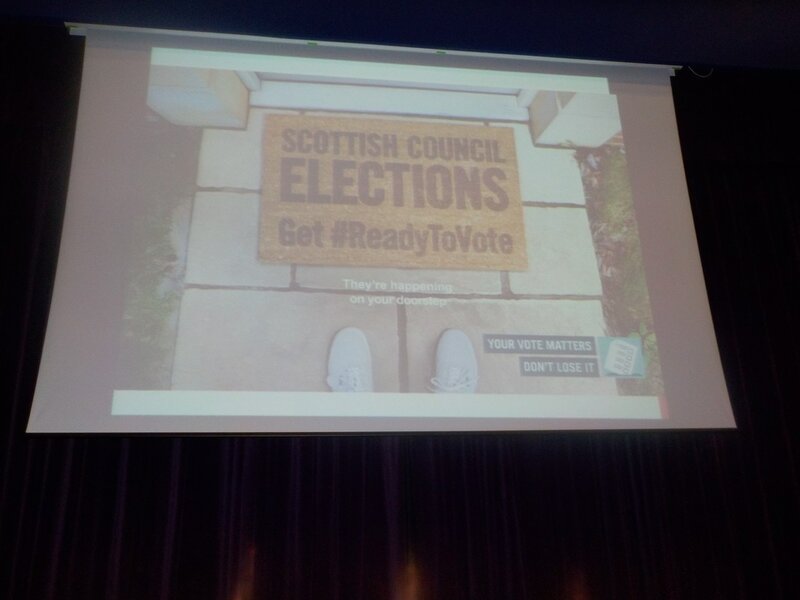 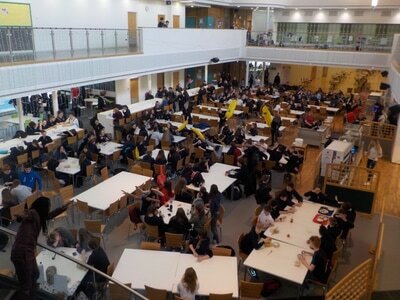 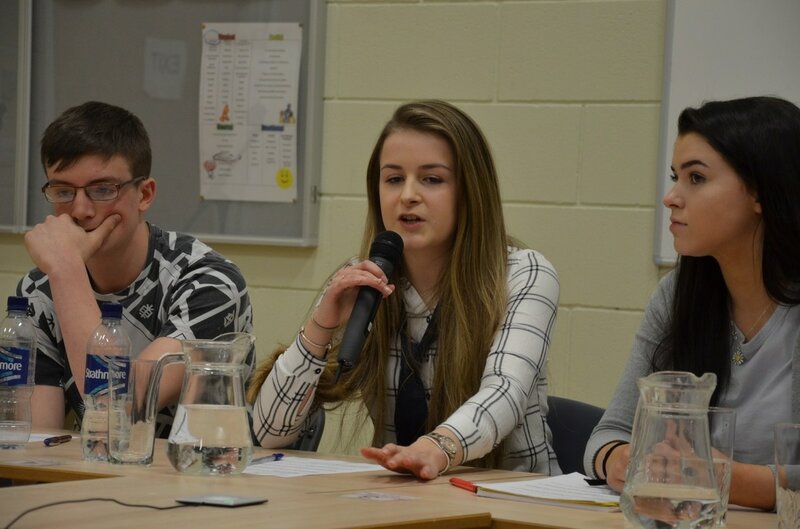 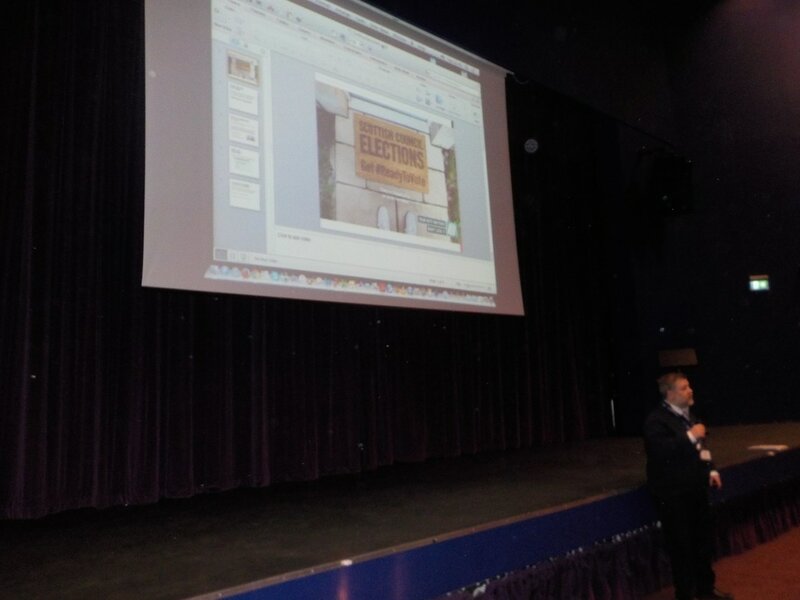 A hustings for the upcoming Scottish Youth Parliament election was held on Friday. 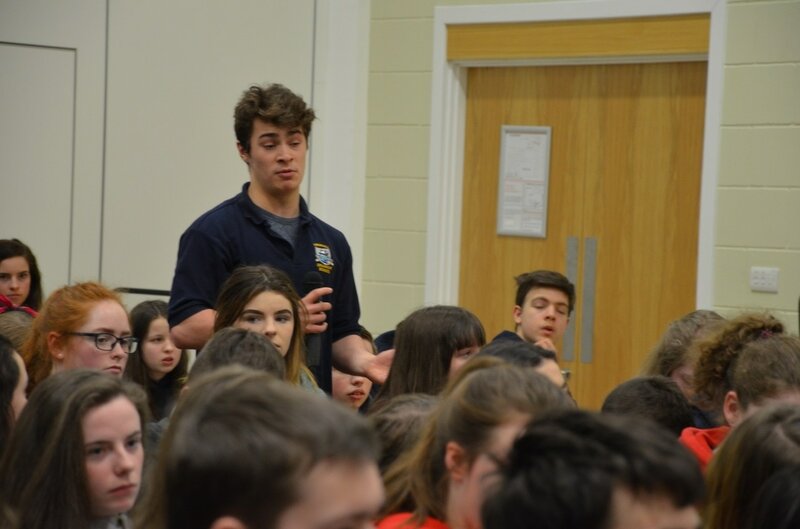 The four candidates, Jack Norquoy, Brooke Mitchell (both Stromness Academy), Calum McArthur and Isla Leslie (Kirkwall Grammar School) were quizzed on a number of issues by a packed KGS Dance Studio. 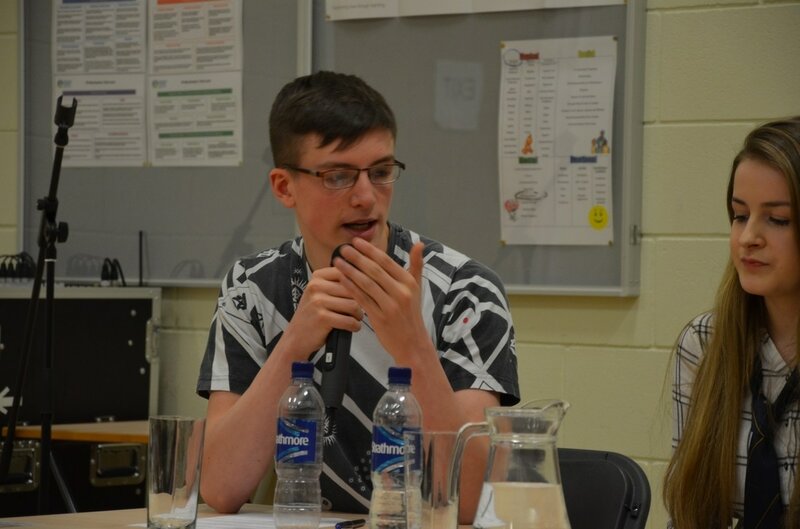 They are in the running for the two Orkney seats in the parliament and provided the audience with an insight into what their priorities would be should they be elected to represent Orkney. 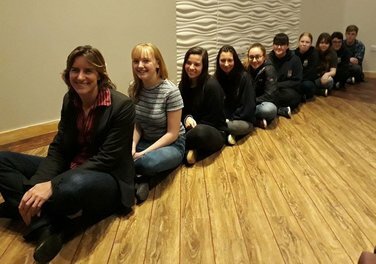 Amongst other things, they spoke about their positions on the resettlement of Syrian refugees in Orkney and what they would do to ensure that the voice of young people in Orkney would be heard. 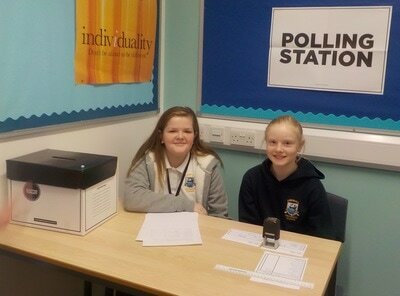 All KGS pupils will be given the opportunity to vote this week. 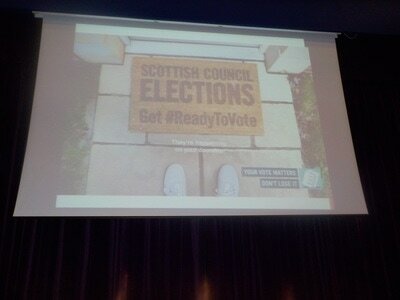 Polls close on Thursday 16th March. 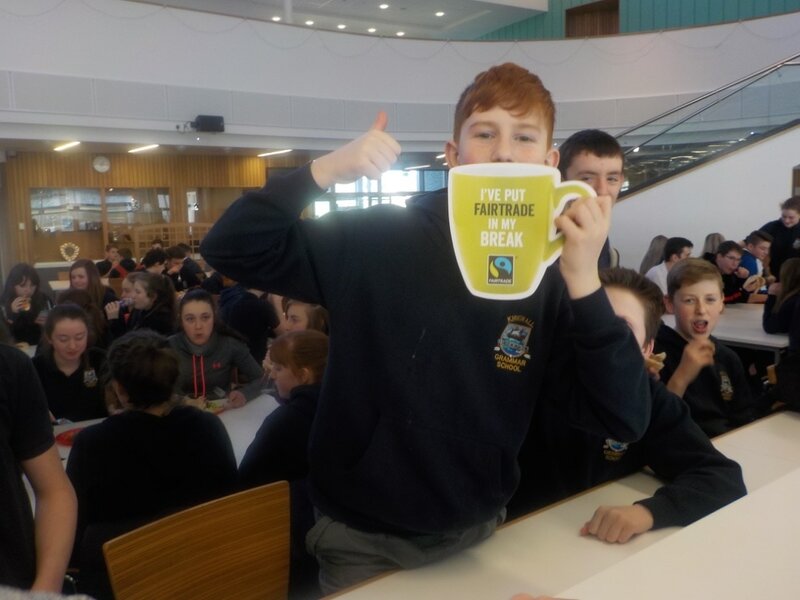 It is time for all of us to remember that the food on our tables, and the tea and coffee in our mugs, are all from farmers who toil, sweat and slog. 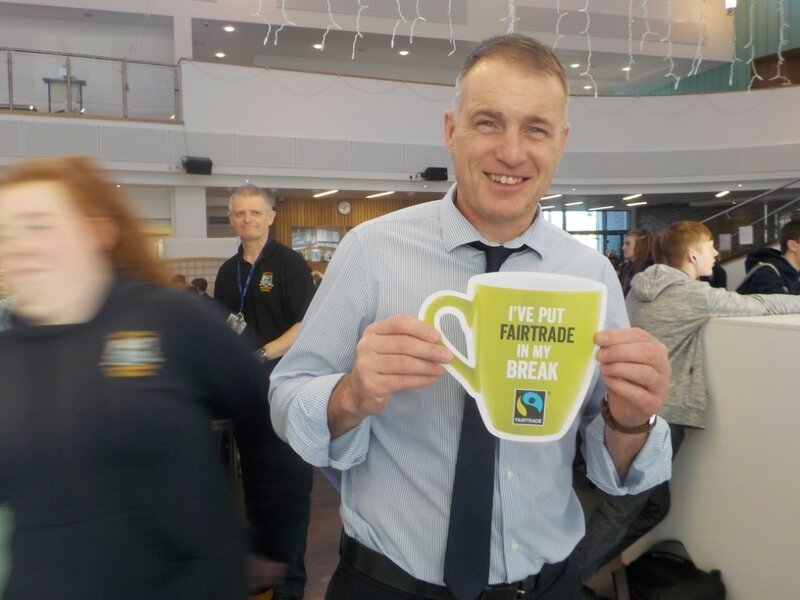 And yet however hard they work to provide the things we depend on, millions of farmers in developing countries aren't paid what they deserve. Many are paid prices too low to provide for their families properly. 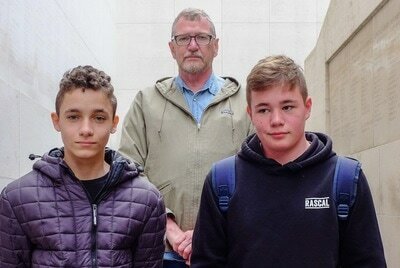 They get trapped in poverty. 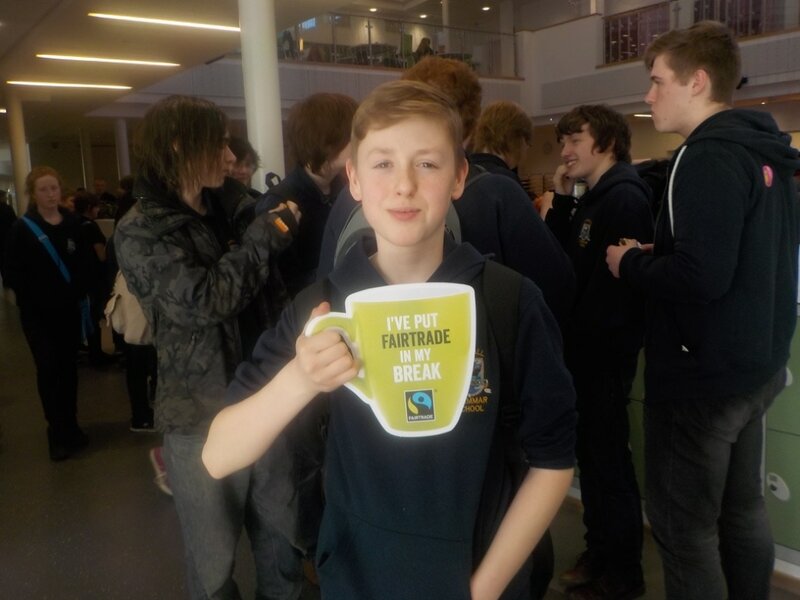 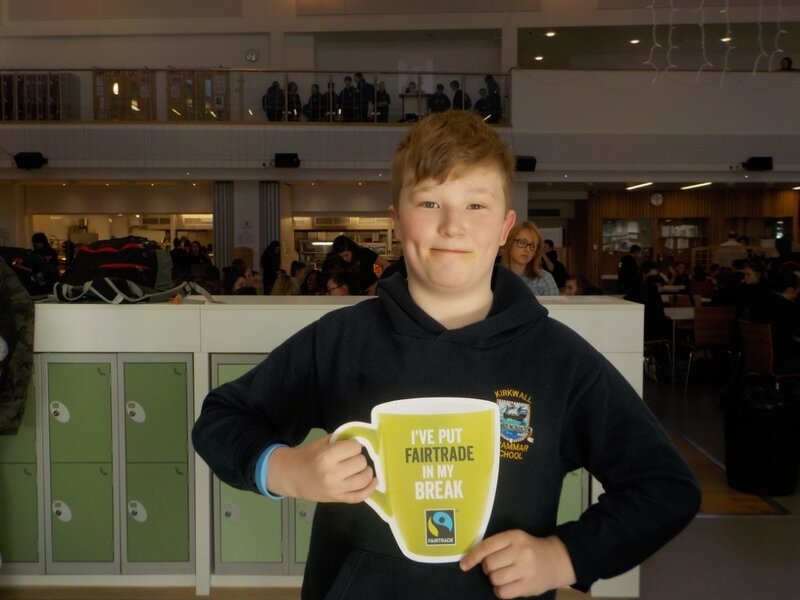 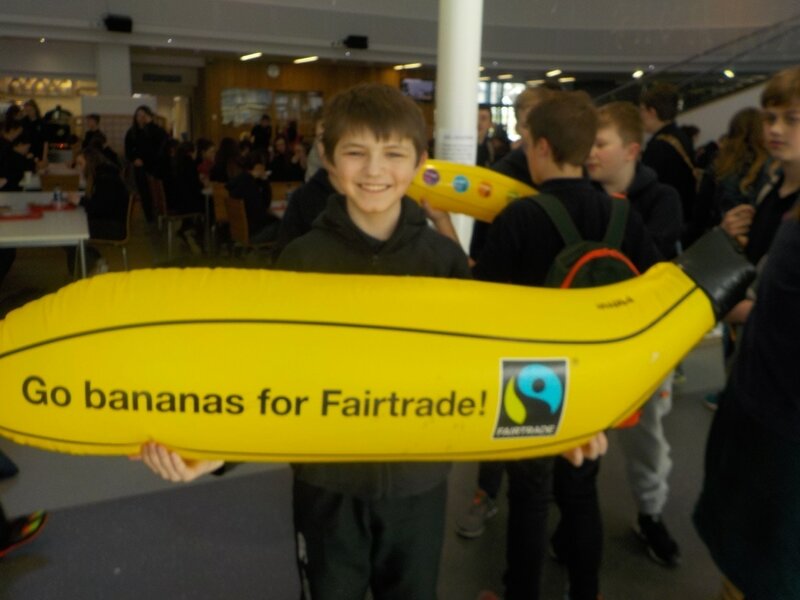 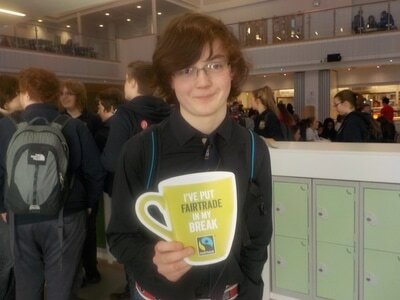 As a FairAchiever School, pupils and staff at KGS are helping to spread the word about Fairtrade, reminding us that we can all be part of changing this injustice. This would mean farmers getting a better deal when they sell their crops on Fairtrade terms. 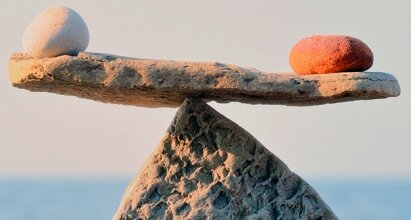 This leads to a better and more stable income and can help them break the cycle of povery they are trapped in. 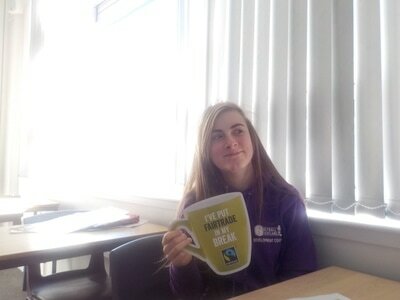 But not enough companies are buying on Fairtrade terms and not enough of us are buying Fairtrade products. 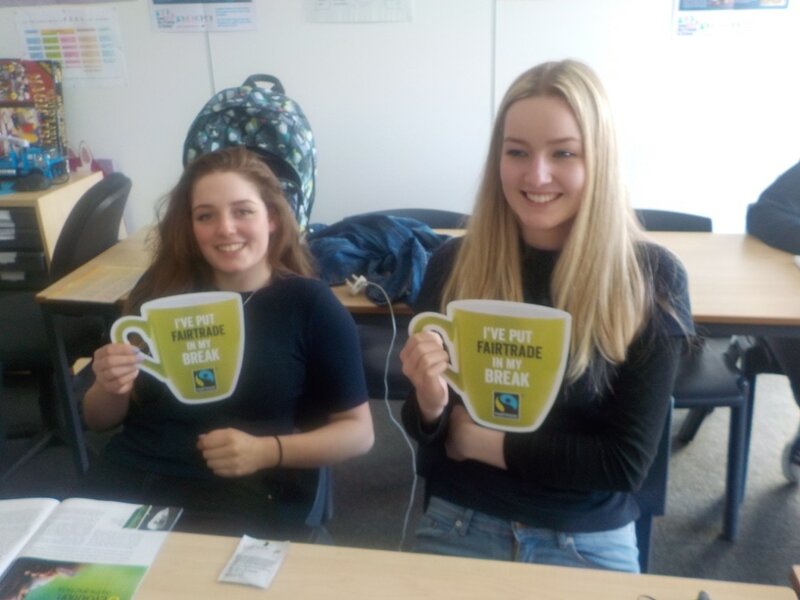 The Fairtrade Steering Group at KGS are organising a plethora of events to help show everyone why farmers need people to choose Fairtrade. 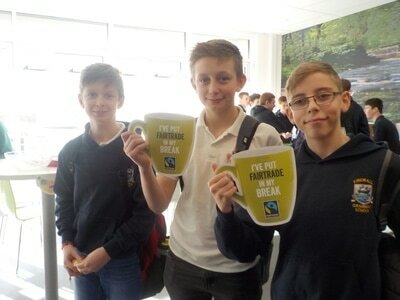 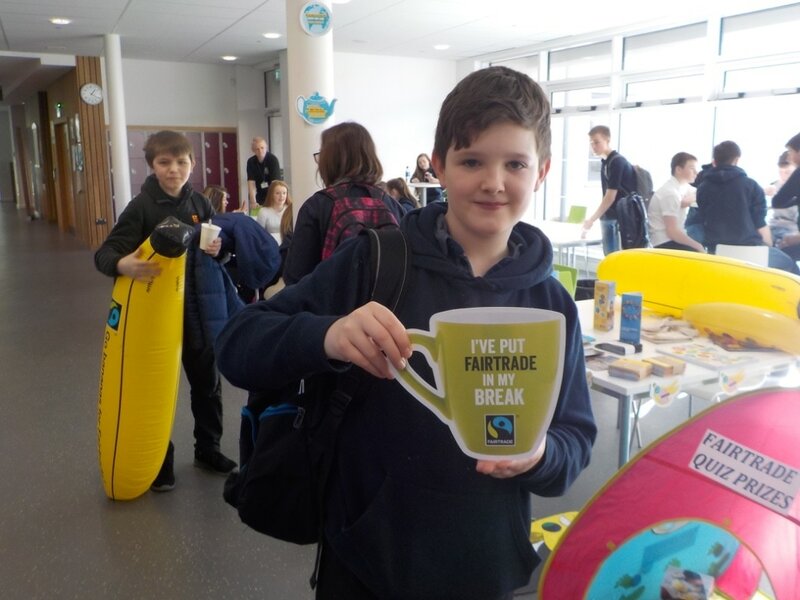 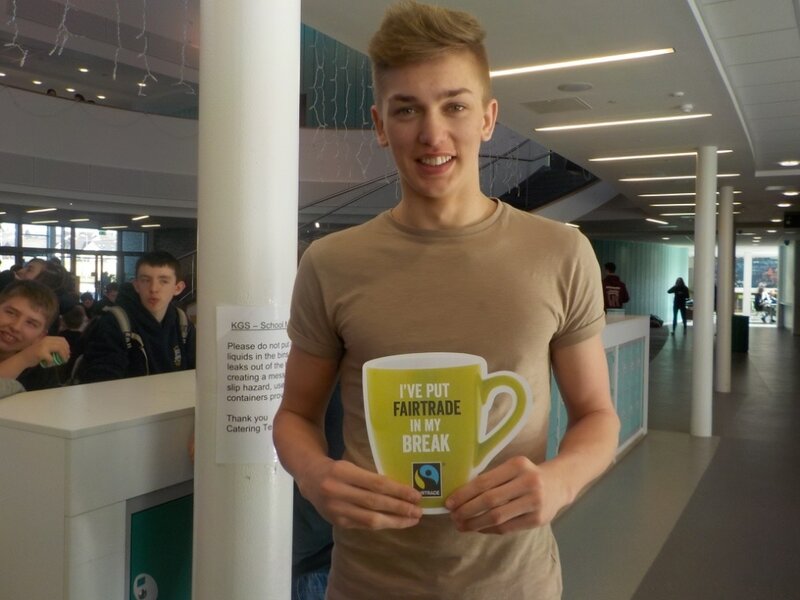 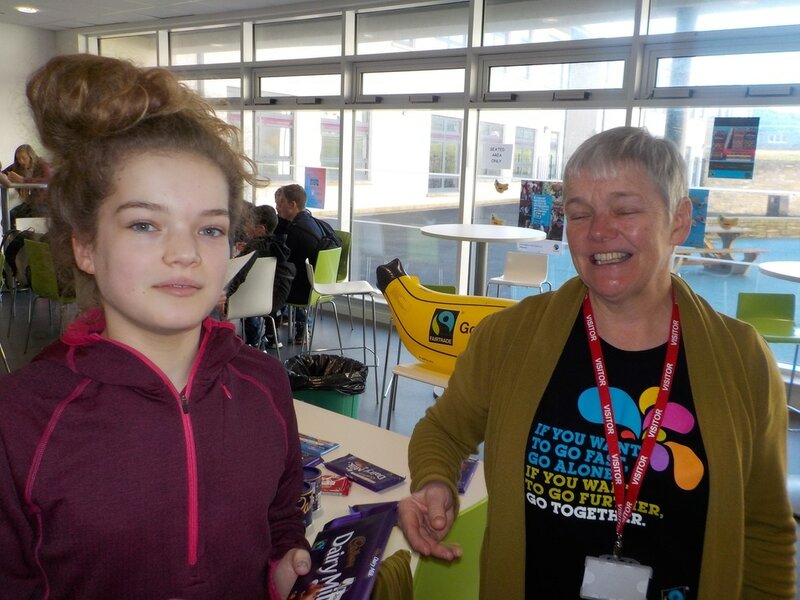 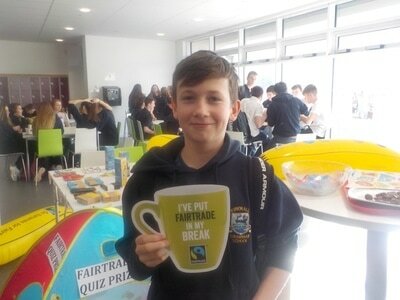 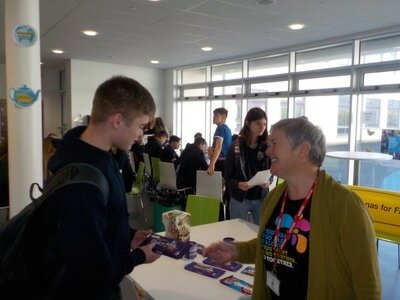 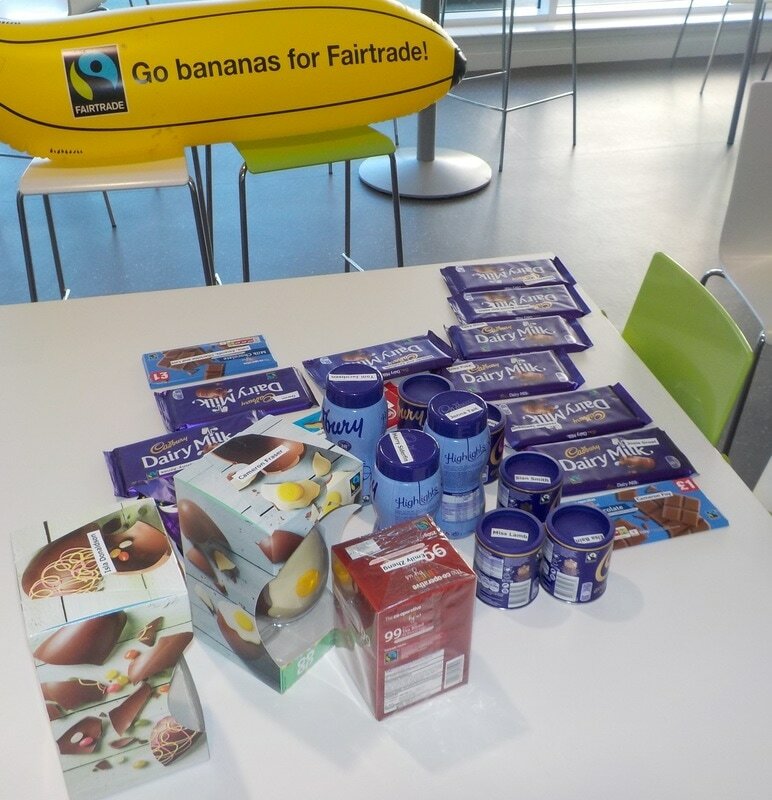 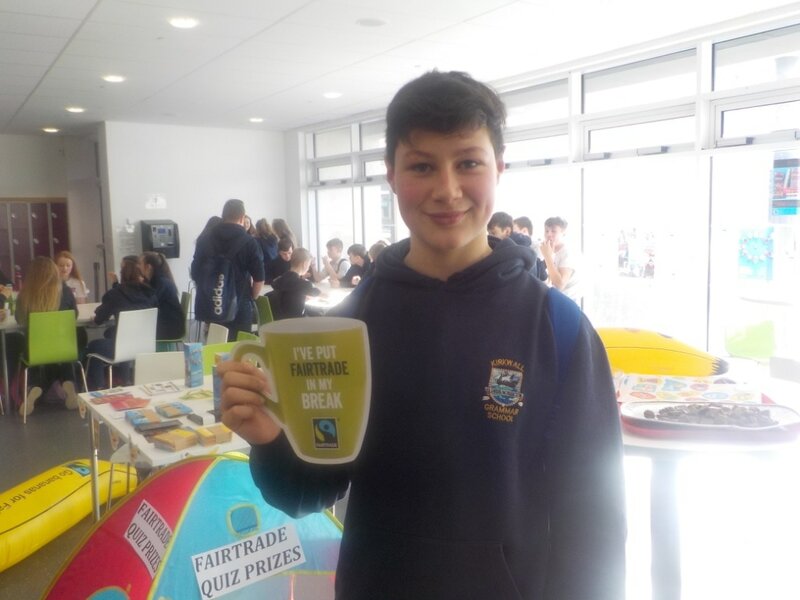 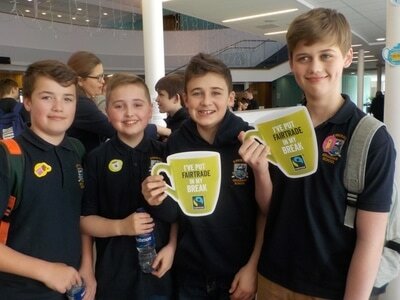 The group held a colourful 'Put Fairtrade in YOUR break' campaign to drive home this message with other events like 'Dabbing for Fairtrade' and ‘Campaigning for Fair UK trade deals' to mention only two. S3 Modern Studies pupils had a visit yesterday from Alastair Inverarity, the Schools Liaison Officer for Orkney Police. 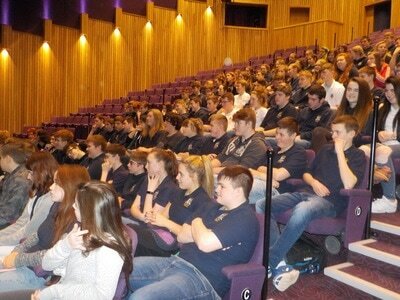 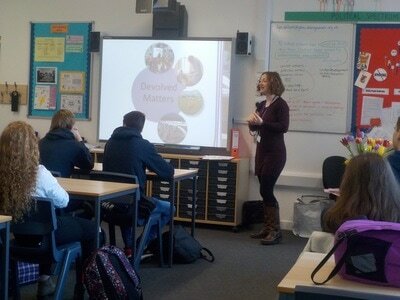 The PC gave a talk about the role of the police, a topic being studied as part of the S3 curriculum. 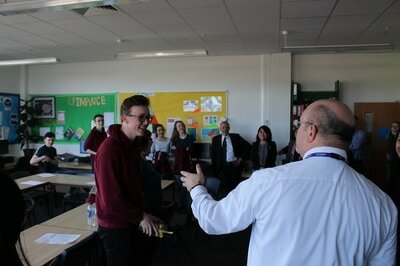 He then led a question and answer session from the pupils. 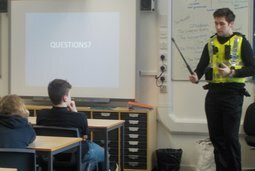 Feedback from the pupils was that they found the visit very valuable for their Modern Studies coursework, and some have even been inspired to consider a career in the police force! 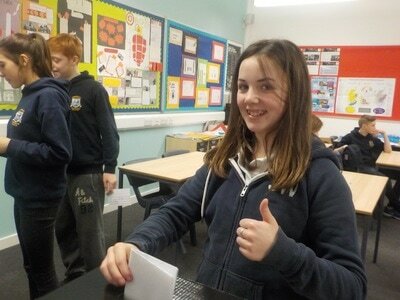 S1 Modern Studies pupils at KGS have been taking part in a mock election campaign. 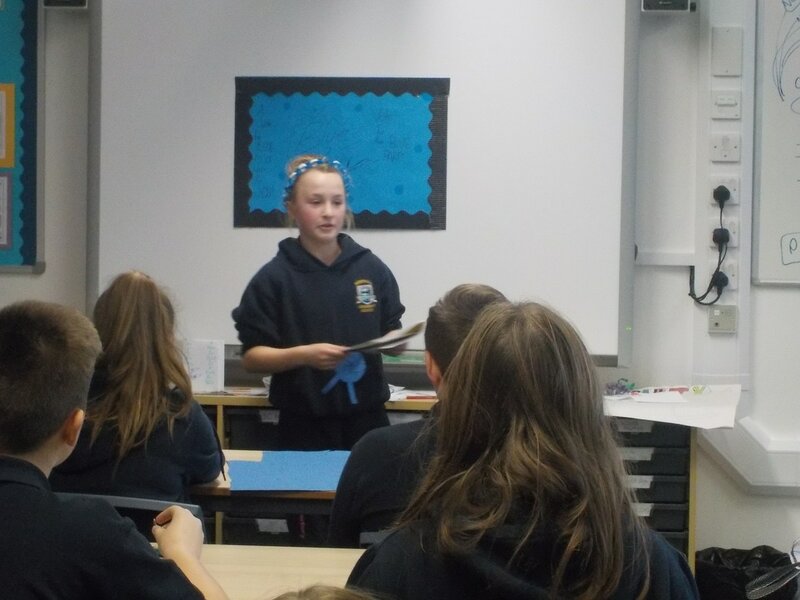 After weeks of poster and leaflet making, speechmaking and campaigning, candidates from each S1 class went head to head last week. Classes saw pre-recorded speeches from each candidate and cast their votes during class. The winner, with a majority of votes, was Finlay Luke of 1E1. 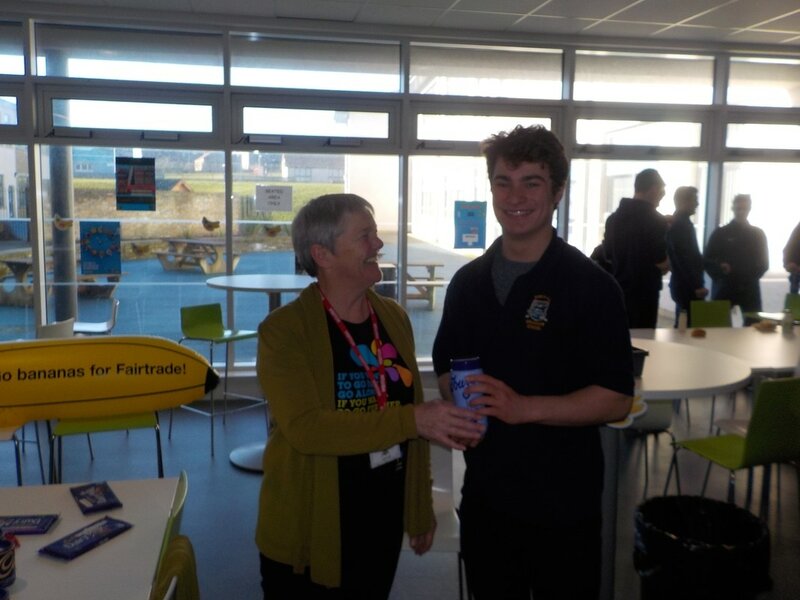 Finlay campaigned for improved boat and air services to the Islands, improving roads, cutting taxes and helping farmers in Orkney as well as bringing fast food restaurants to the Mainland. 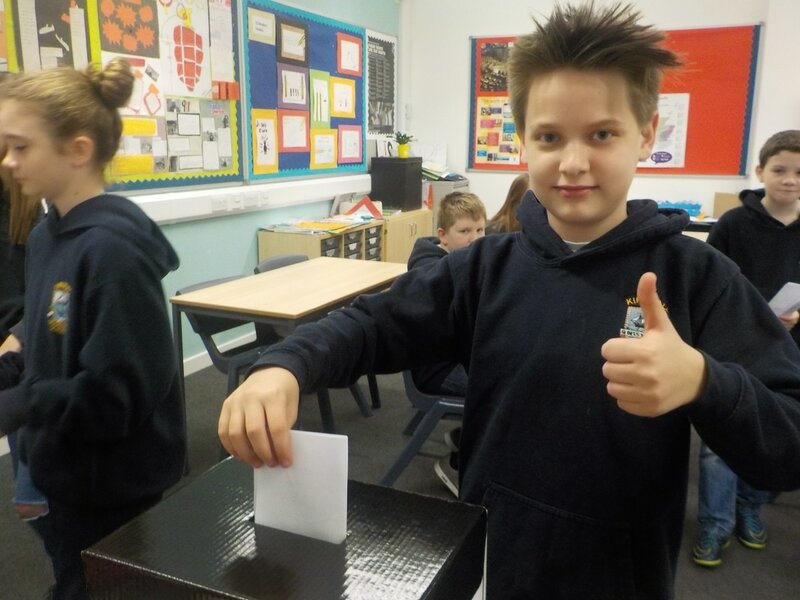 The Modern Studies department would like to congratulate all the candidates who took part in the election and are delighted with how engaged and politically literate our S1 pupils are. 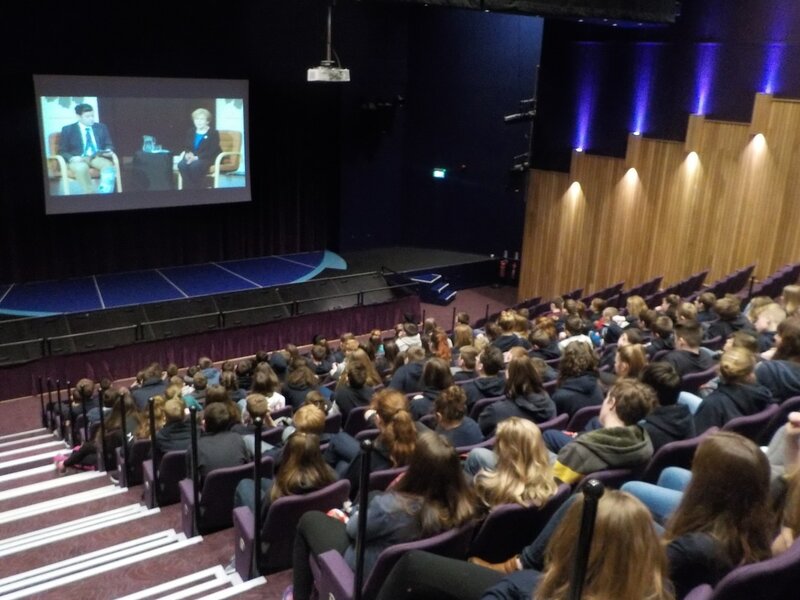 S2 pupils viewed a webcast by Holocaust survivor Mala Tribich in the theatre today. 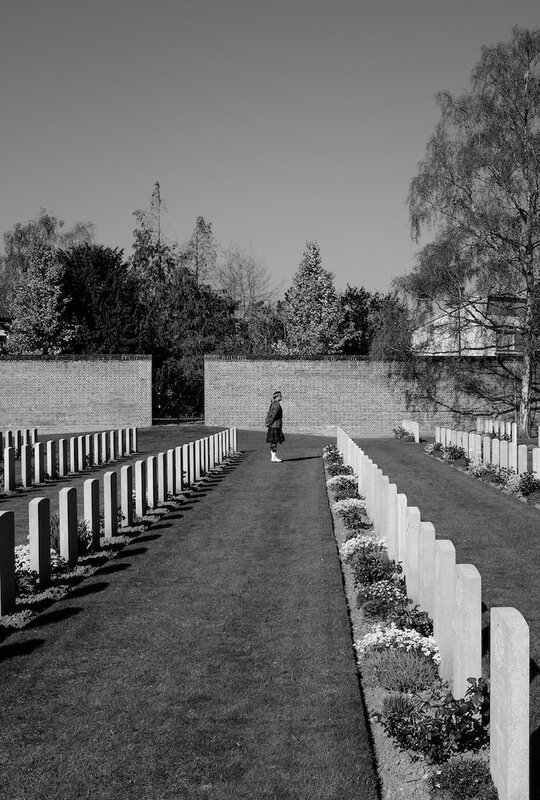 Mala spent time in one of the first ghettos in Poland and was deported to Ravensbruck concentration camp initially and then ended up in Bergen-Belsen until the British liberated it in April 1945. "Mala is an extremely brave and interesting person.I thought her story was really sad but I found it amazing to hear it. 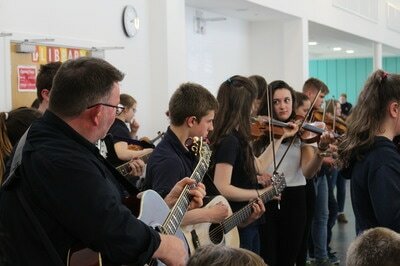 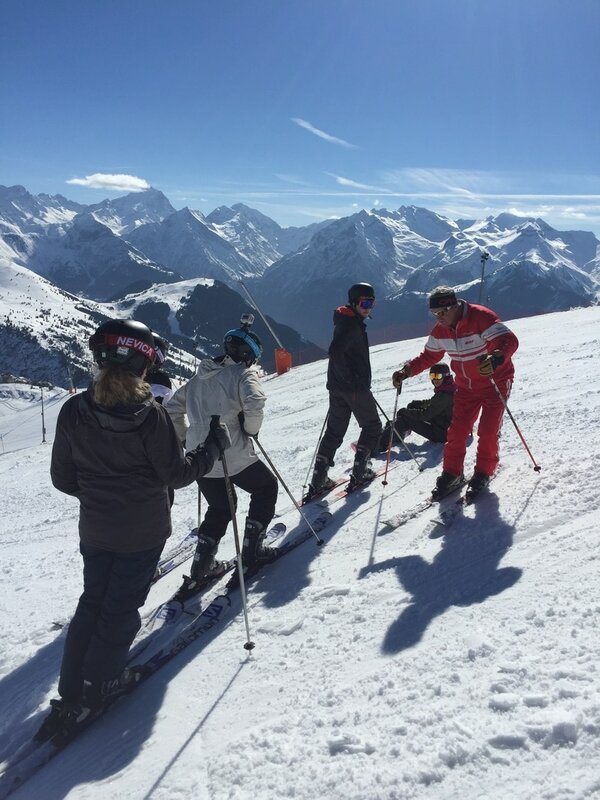 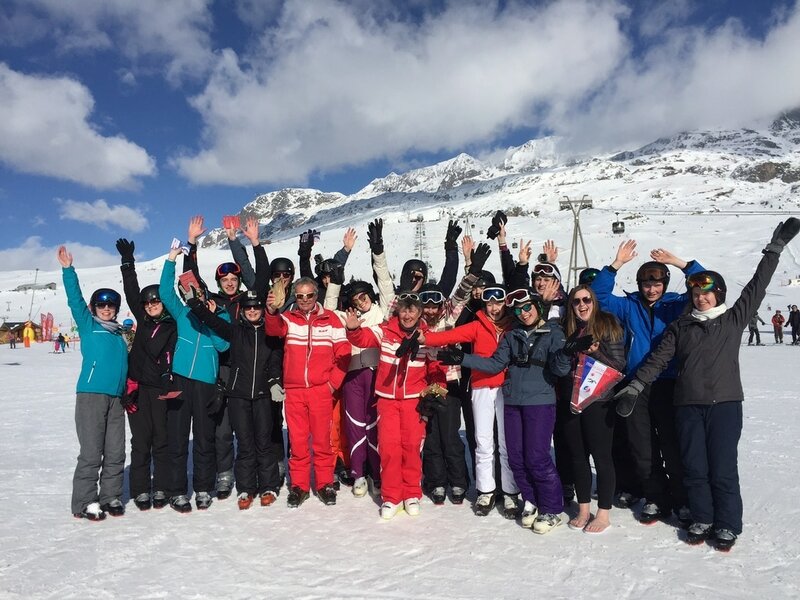 Fantastic experience." 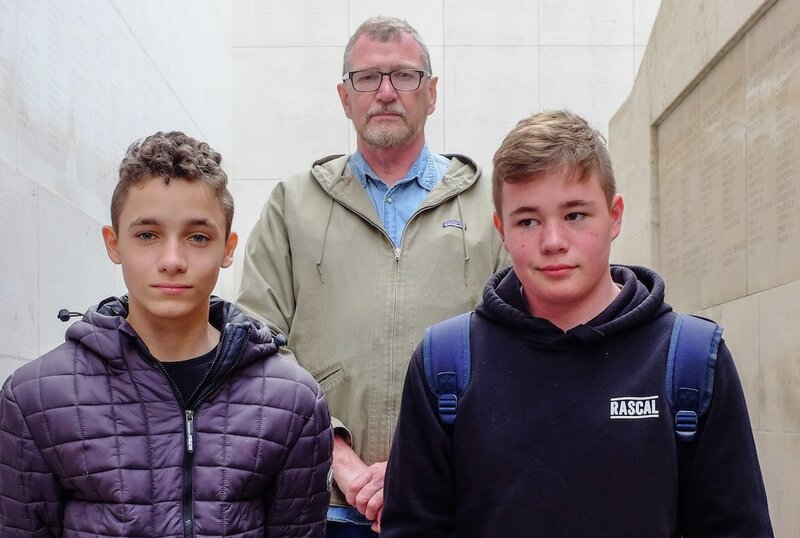 "In my lifetime, I may see the last holocaust survivor die, my children may never hear these stories unless I tell them." 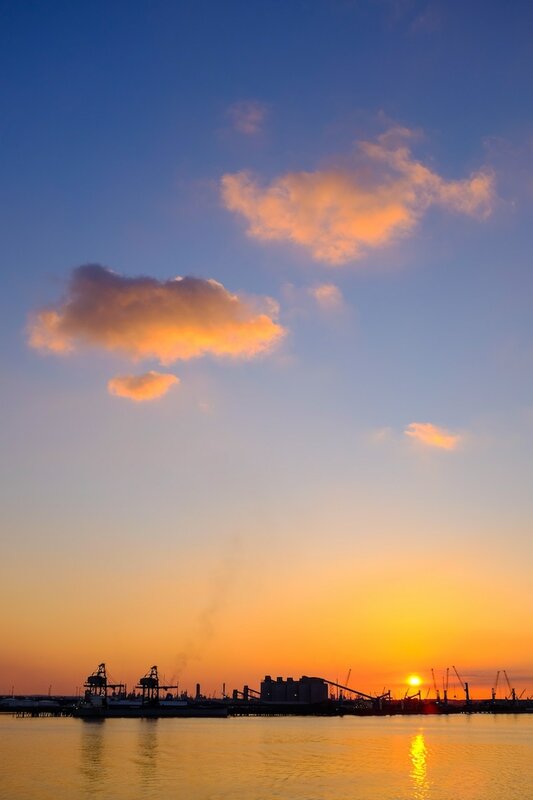 "Made me think about how destiny can change so fast." 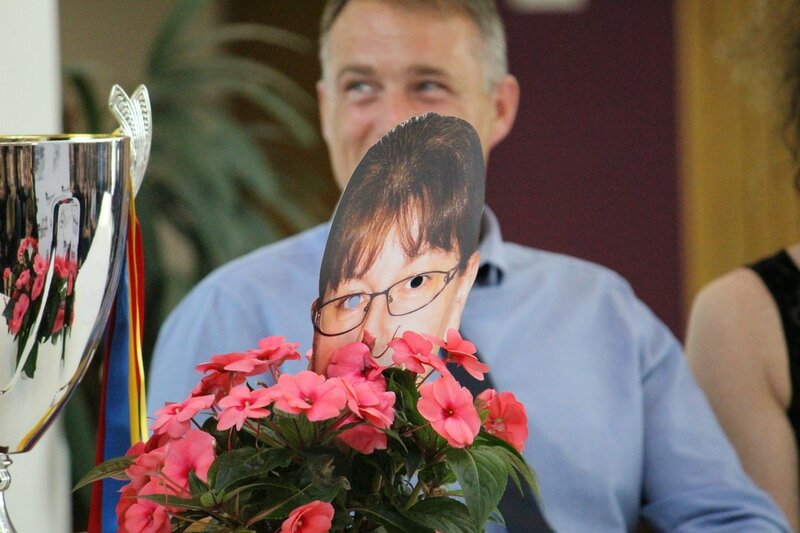 "She was very inspirational and interesting." 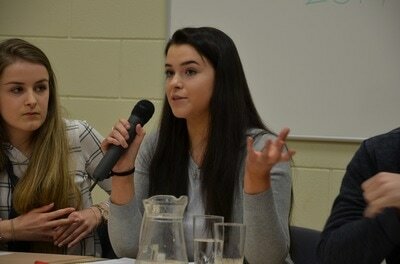 "I think it is amazing that Mala survived.I think more people should hear her story. 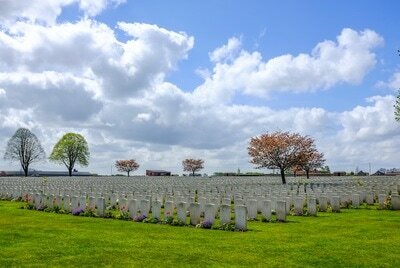 I think humanity needs to make sure it never happens again." Today the KGS boys' under 14 football team defeated Ellon Academy 5-3 in a penalty shootout after the score was 2-2 at full time. 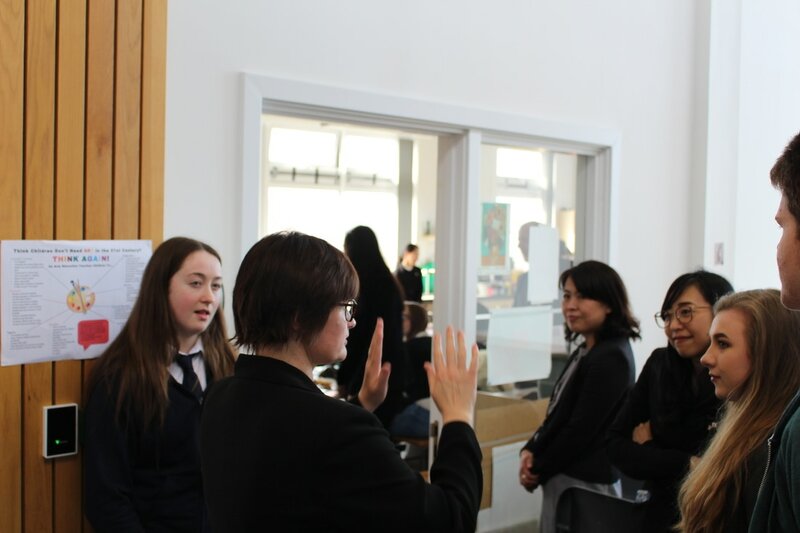 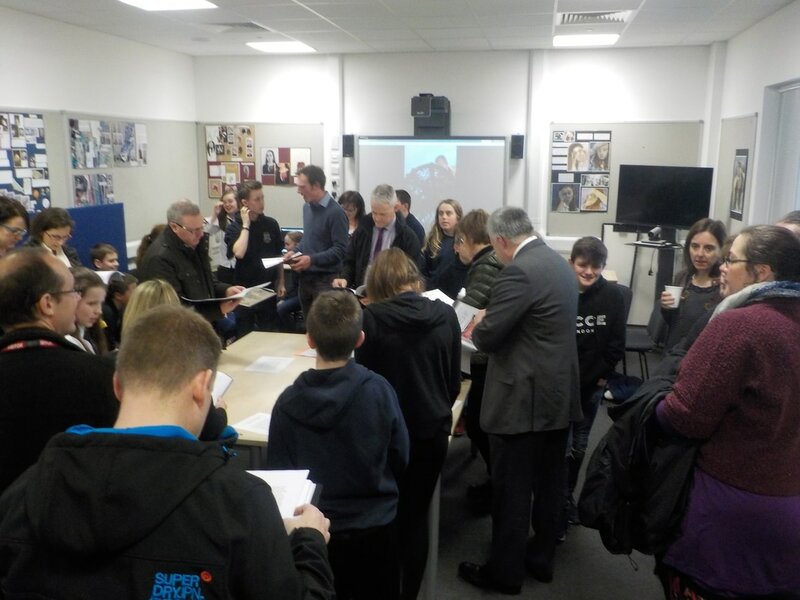 The Social Subjects department held a ‘Meet the Writers’ event on Tuesday 17th to view the twenty KGS S2 history projects that have been selected to be entered for the Fereday Local History prize and to meet and talk to the twenty writers. The event took place in the Conference Room, and the entrants’ parents were invited as well as staff. 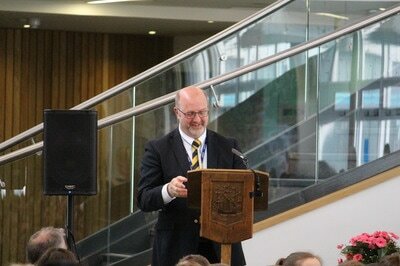 Dr Simon Hall, PT English, introduced the writers and their projects. 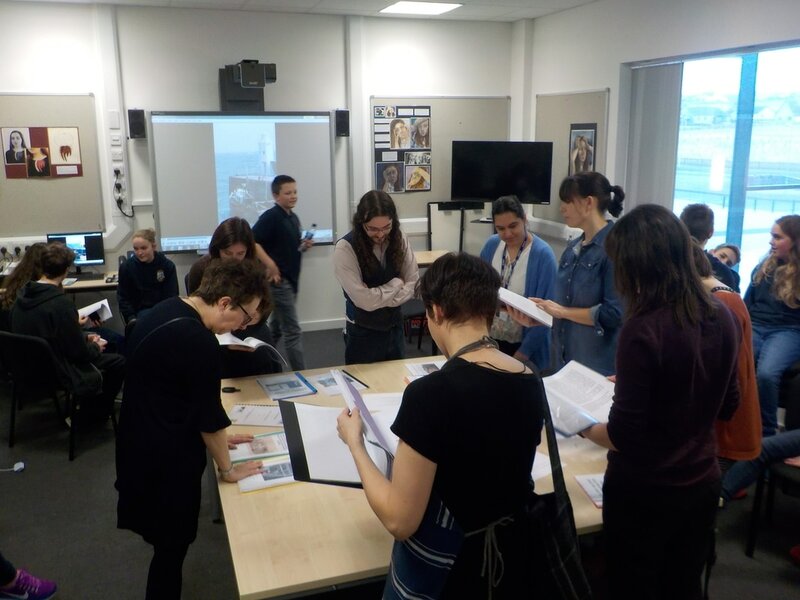 Staff and parents alike made the most of the opportunity to read the projects and question the writers about their research. 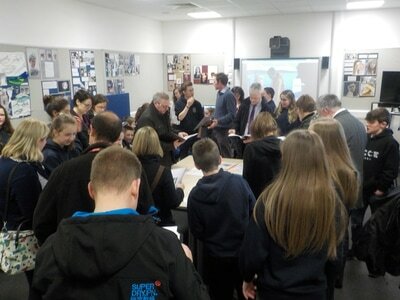 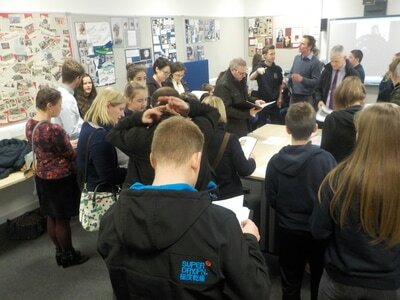 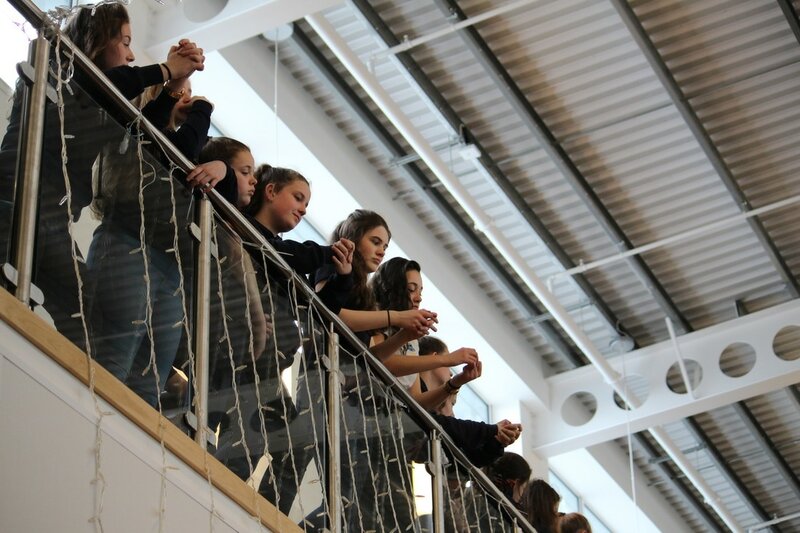 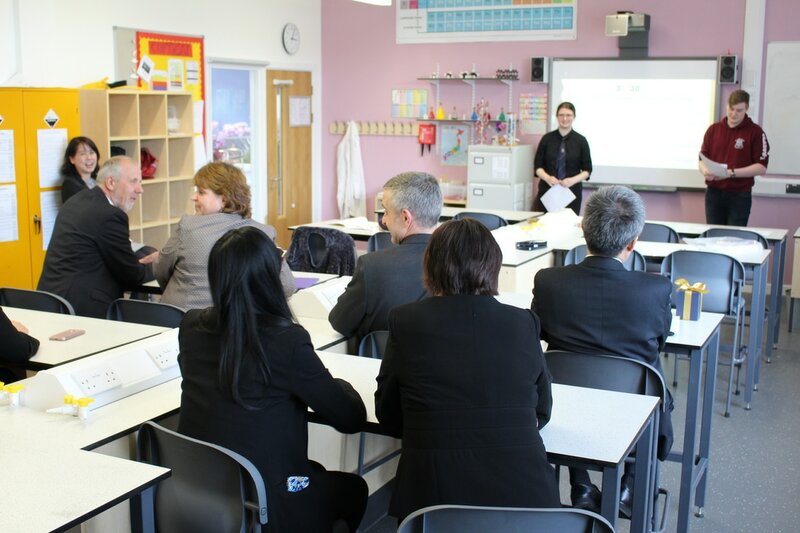 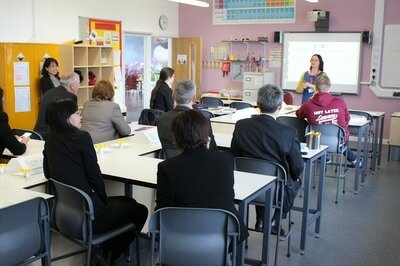 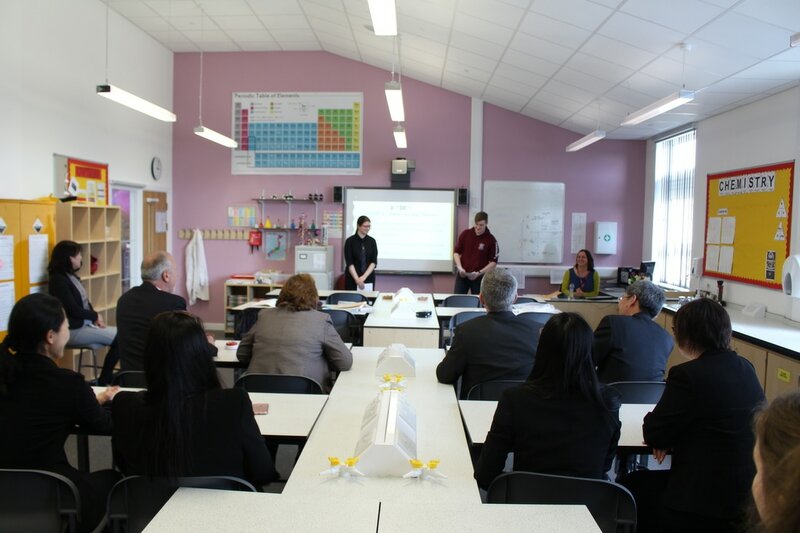 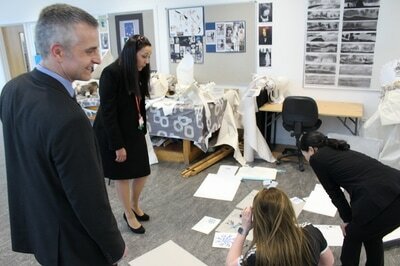 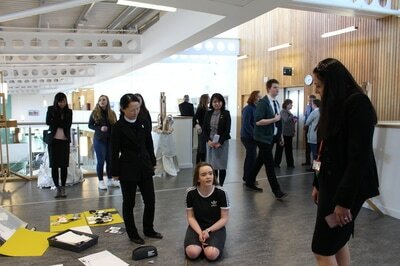 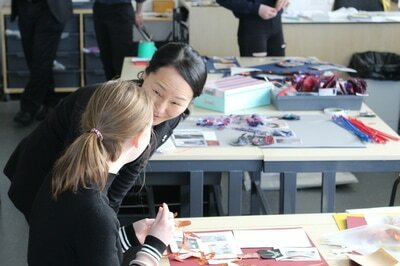 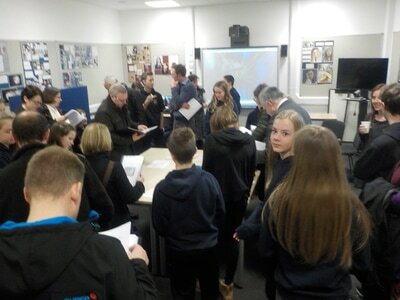 Everyone really enjoyed the event and was impressed at the quality of the research our pupils have carried out. 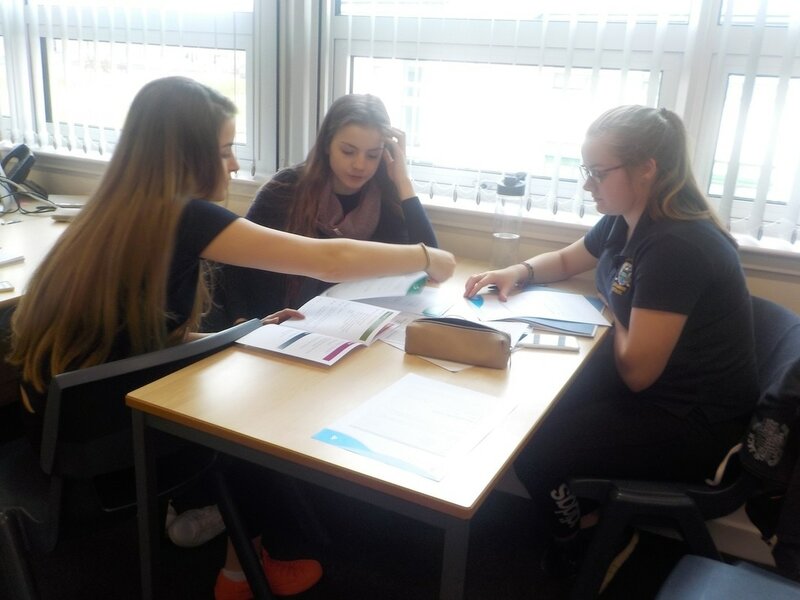 The topics chosen by our young historians are hugely varied; from North Ronaldsay lighthouses, the life of Peter Maxwell-Davis, Swona, and short-sea travel across the Pentland Firth, to the Orkney SWI, fishing and the history of athletics clubs in Orkney! 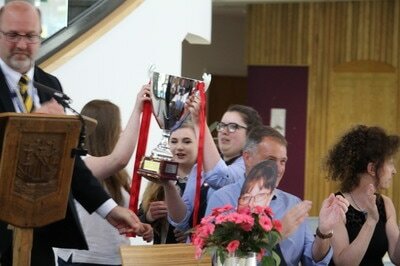 The Fereday Prize is open to all Second Year pupils in Orkney, and awarded each year by the Orkney Heritage Society. 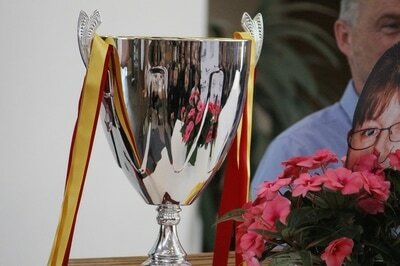 The prize-giving usually takes place at the end of March. 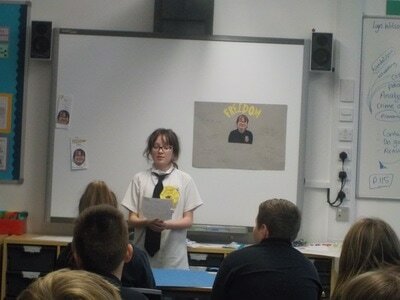 Evie Allison: How has the history of Orkney’s hospitals reflected change in public health provision? 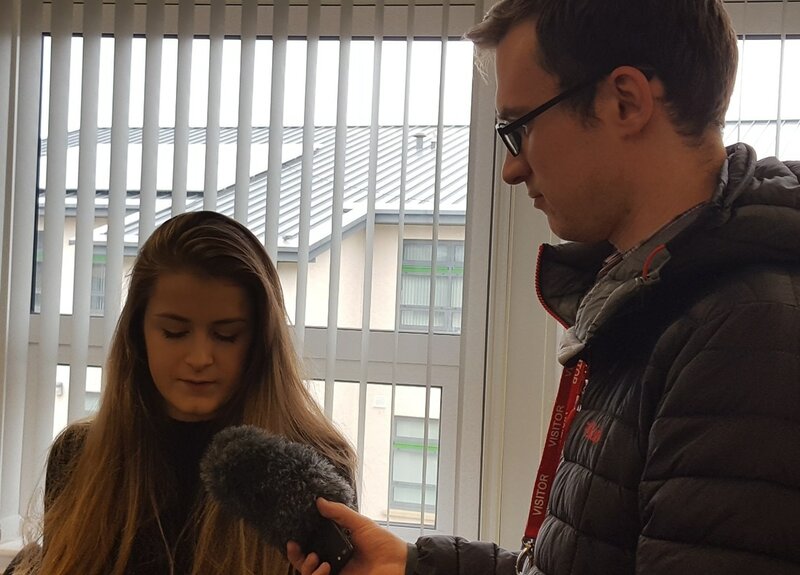 Tommy Ballantine: How has Kirkwall Airport changed since it began? 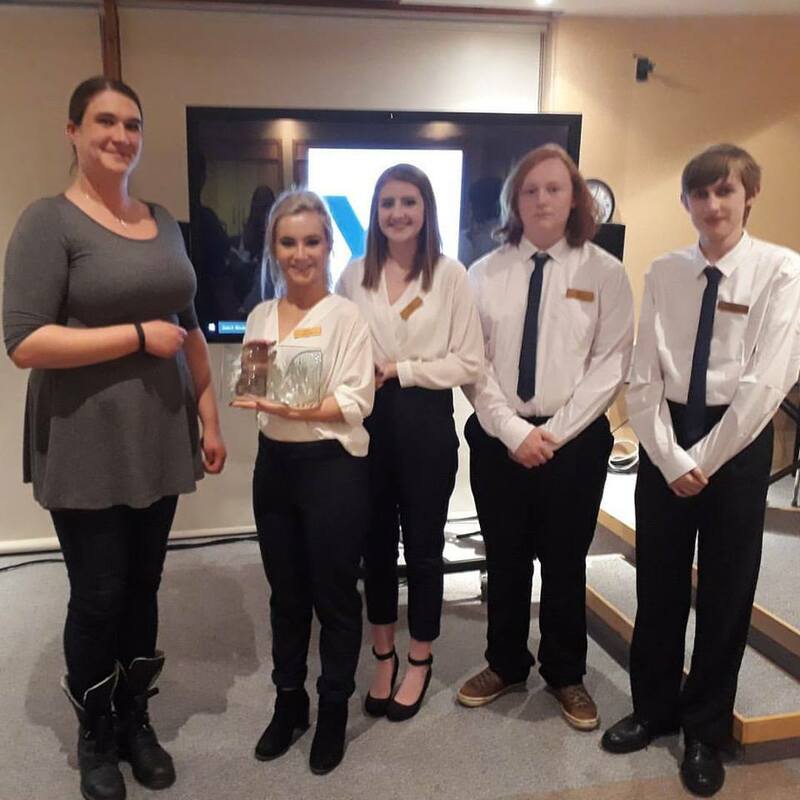 Francesca Barnby: What is the Skaill Hoard and how has it impacted those around it? Zack Brewer: The Hammer and the Cross – What was the Viking impact on religion in Orkney? 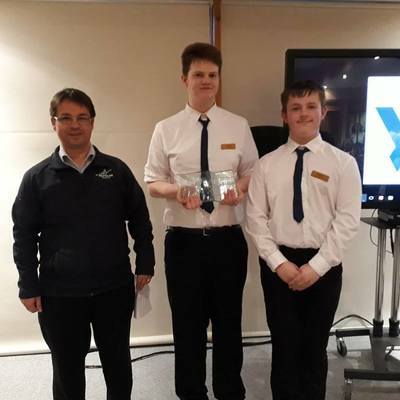 Conal Caithness: Was the Sinclair C5 a good isles car? 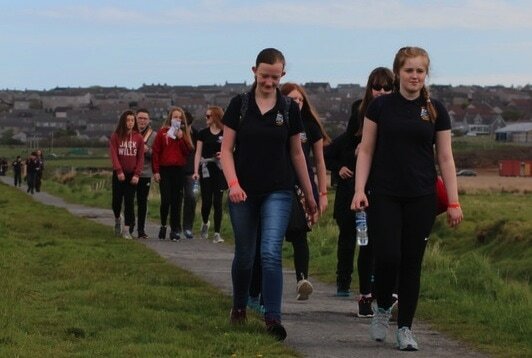 Joe Cromby: How have Athletics Clubs in Orkney changed since 1947? Freya Fisher: Has 100 years of change improved the lives of the people of Orkney? Alice Griffiths: Is Swona Just History? Kirsty Harrison: How has 12 and 14 Queen Street changed since the 1840s? 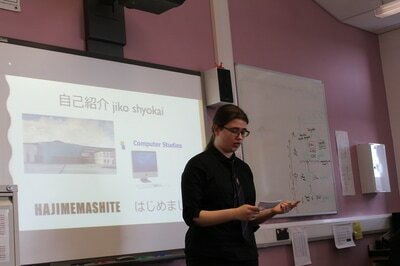 Emma Henderson: How has short sea travel across the Pentland Firth to South Ronaldsay evolved? 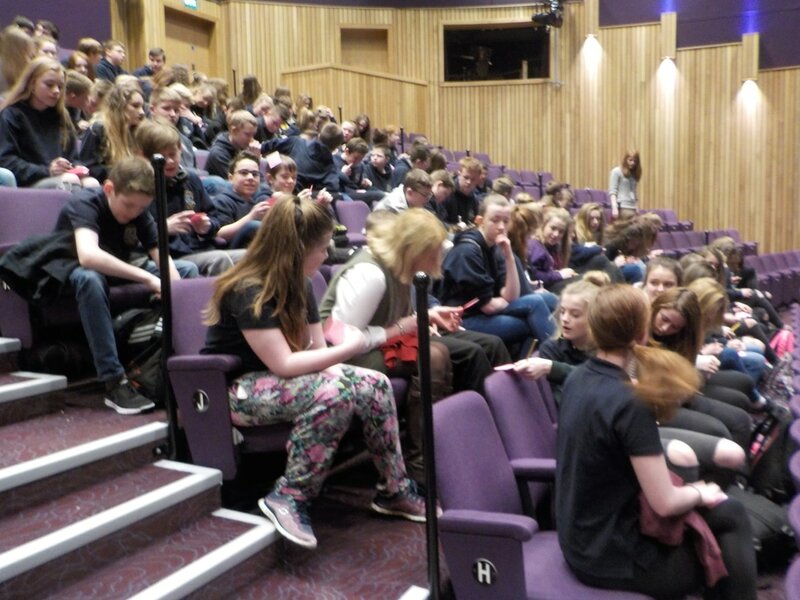 Tom McArthur: How much community drama is there in Orkney and what are the benefits of it? 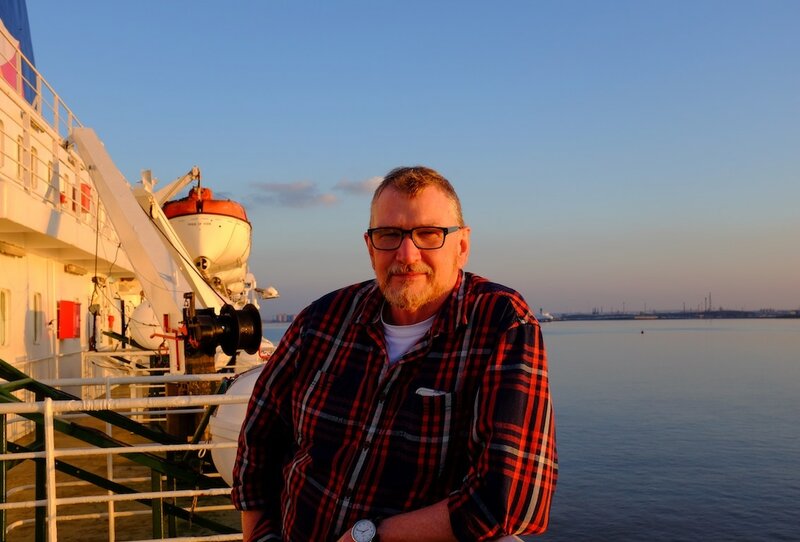 Alexander Scott: How have the North Ronaldsay Lighthouses, from the initial construction of the ‘Old Beacon’ to the automation of the New Lighthouse, affected the Island’s Community? 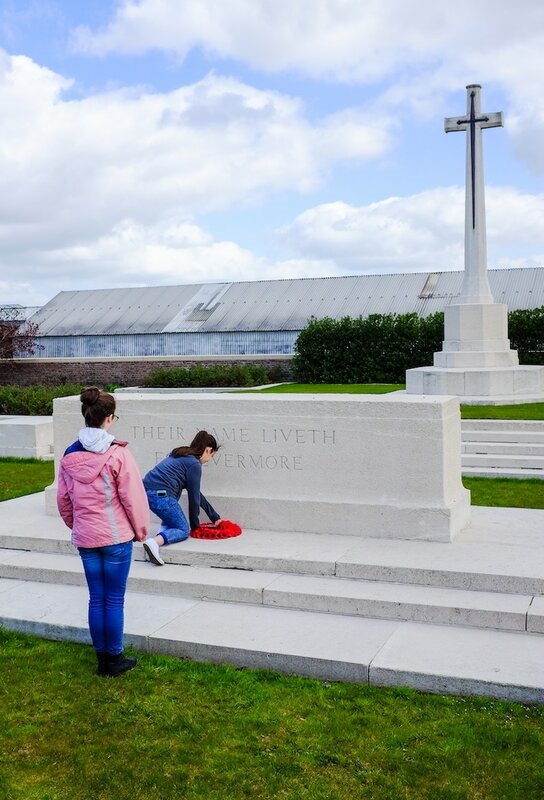 Matilda Simpson: What was life like at the old Orphir School and did it have any Historical Impact on its pupils and the surrounding community? 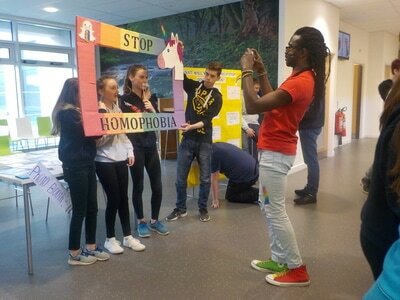 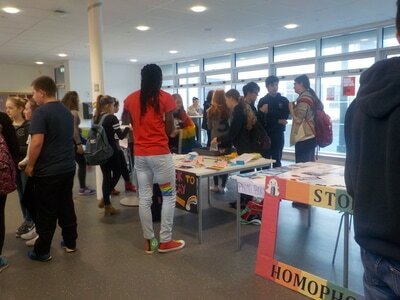 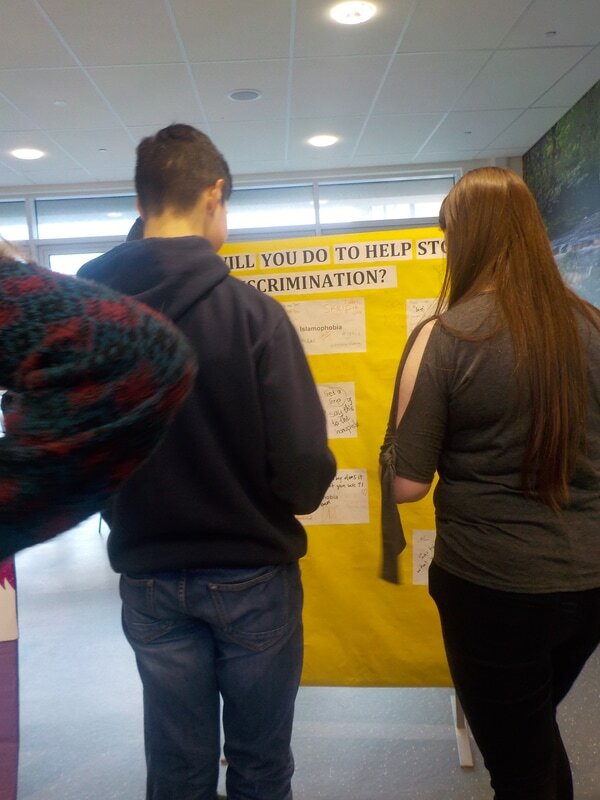 This followed a week of awareness raising which identified different kinds of discrimination. 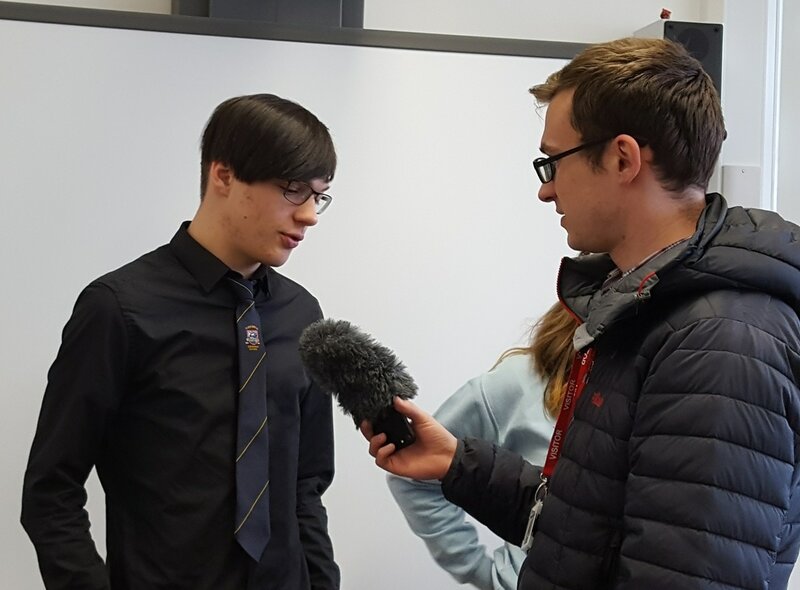 Together with coach Ben Delaney, five Orkney swimmers travelled to Edinburgh last month for the Scottish National Short Course Swimming Championships. Angus and Molly Blance, from KGS, and Mia McAllister, Kerris Sinclair and Eleise Schofield, from Stromness Academy, joined over 770 swimmers representing 90 clubs from across Scotland, the UK, Ireland, Belgium and Denmark at the Royal Commonwealth Pool for a meet that is widely regarded as the premier short course event in the UK. 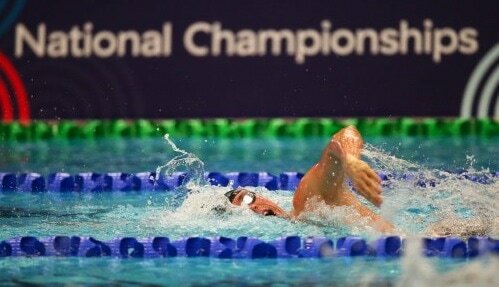 Spectators were treated to some very exciting races as the likes of Duncan Scott, Craig McNally, and Corrie Scott broke Scottish records in front of packed crowds. Seeded mostly in the slower heats, the Orkney contingent nevertheless showed that the hard work and dedication put into their rigorous training schedule over the past season is paying dividends, with five swimmers qualifying for the Nationals this year, and a great set of results to come home with. 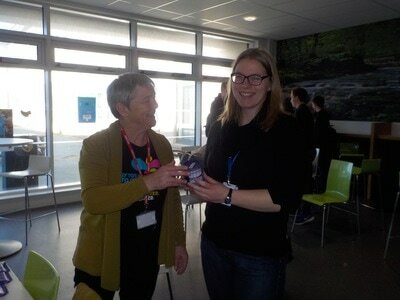 Day 1 of the competition got off to a fantastic start, with a new Orkney Open record for 800 metre freestyle for Kerris Sinclair, taking well over 4 seconds off her previous time to set a new record of 9:26.73. 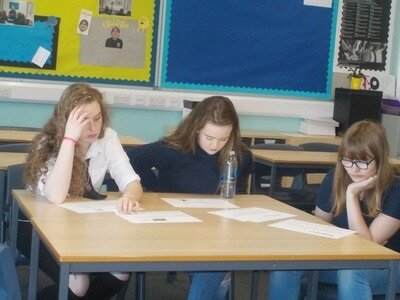 There were more Orkney records in session 2. Storming home to win her heat in a PB in the 100 metre breaststroke in a time of 1:16.04, Mia McAllister briefly held the Orkney record for about 10 mins before Molly Blance claimed it back with a time of 1:15.89. With PBs for Angus Blance in 50 metre breaststroke, and Kerris in 50 back, and Eleise and Kerris pretty much on their times for 50 back and 100 free respectively, it was a pretty good day for the Orkney team. Saturday saw more strong performances. 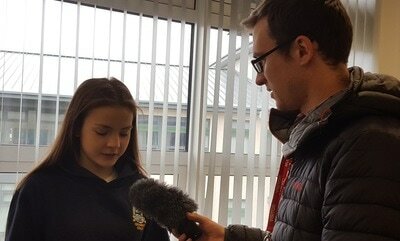 Molly was up first, putting in a good swim in the faster heats of the 50 metres breaststroke in the morning session, finishing just outside her personal best. In the afternoon, Mia was tantalisingly close to the Orkney Open Women’s record for 50m freestyle (28.03), finishing her heat in 28.08 seconds. 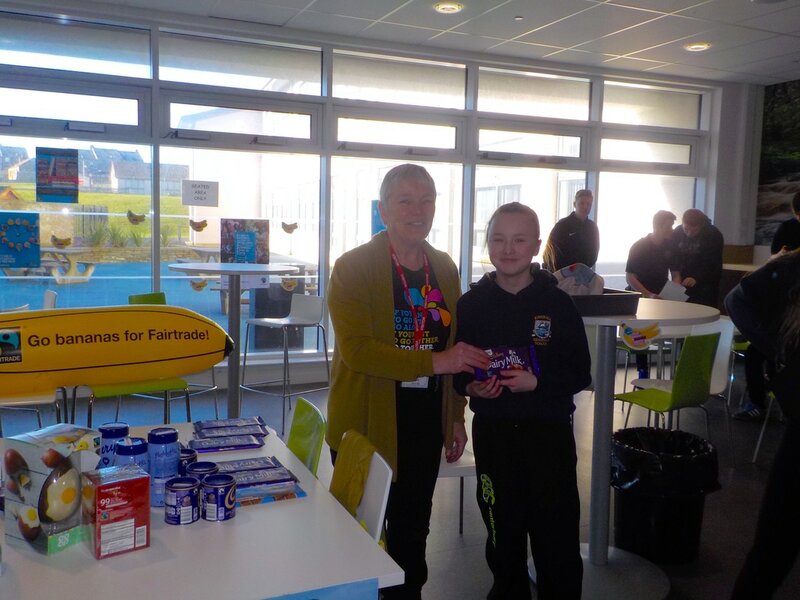 Kerris and Angus swam to form in their respective 400 freestyle and 100 breaststroke events, and the highlight of the afternoon was another new Orkney record for Mia in the 50 metre breaststroke in a time of 34.38 seconds. 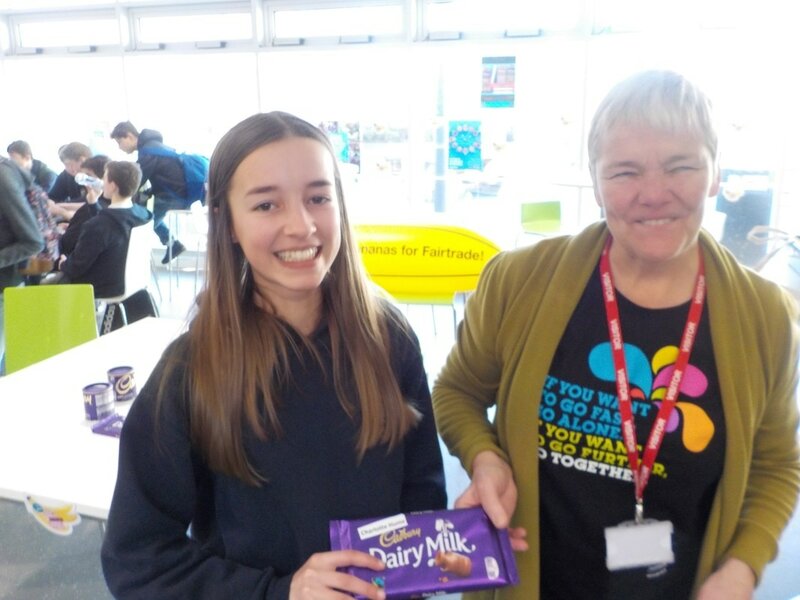 The final day of competition in the Sunday did not disappoint either, with everyone swimming to form and yet another Orkney record falling, this time in butterfly, with Mia bettering her own record for 50m set only a few weeks ago. 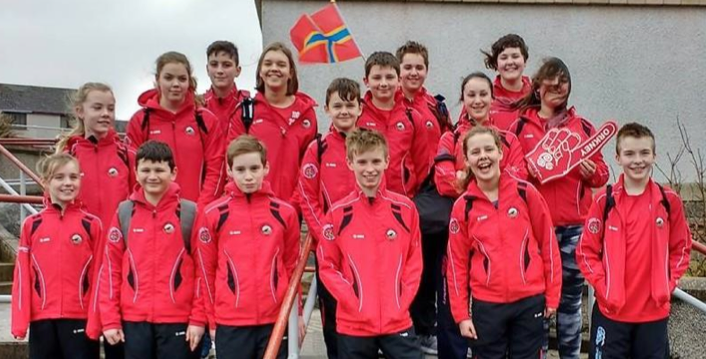 With five Orkney records broken over the weekend, and a raft of PBs, the Orkney swimmers did themselves and their coaches proud. 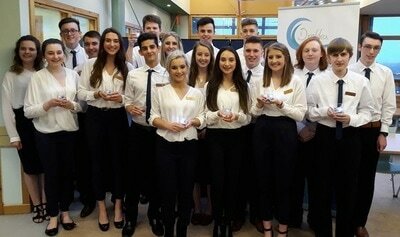 Orkney Amateur Swimming Club would like to thank Cooke Aquaculture Scotland for their generous sponsorship of this trip. 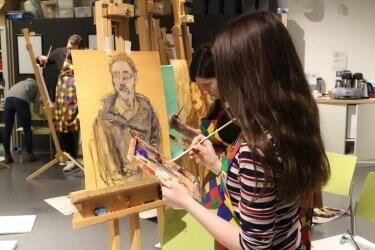 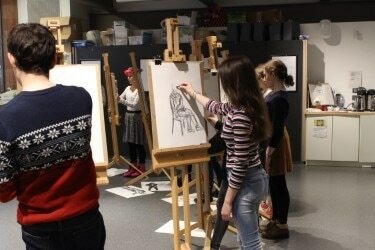 During December two of our S6 Advanced Higher Art and Design pupils, Leah Moodie and Adela Kaluzinska, were accepted to take part in a weekend-long course at the National Portrait Gallery of Scotland in Edinburgh. 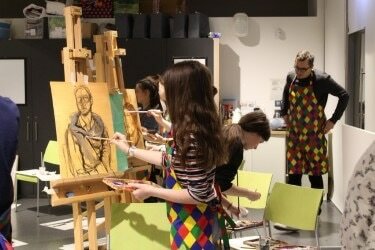 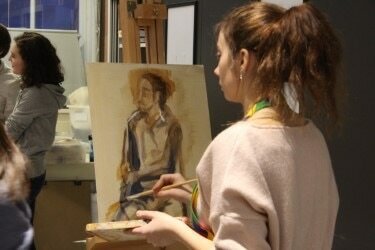 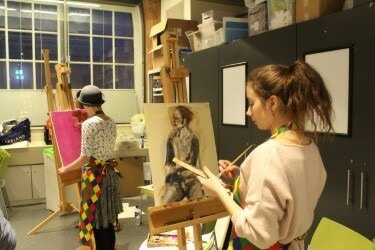 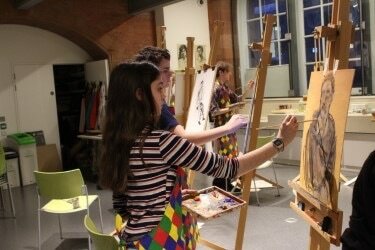 The intensive two-day portrait painting course involved them working alongside other prospective Art College students while being tutored by practising artists. 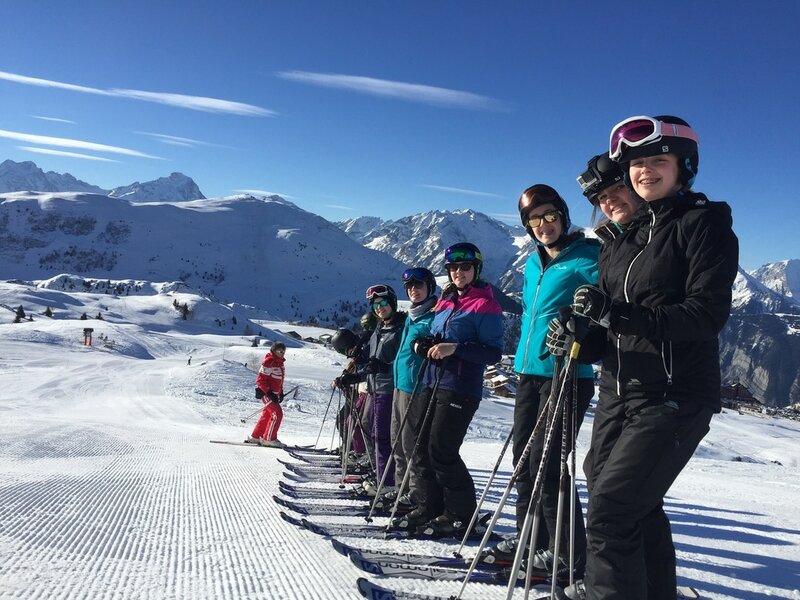 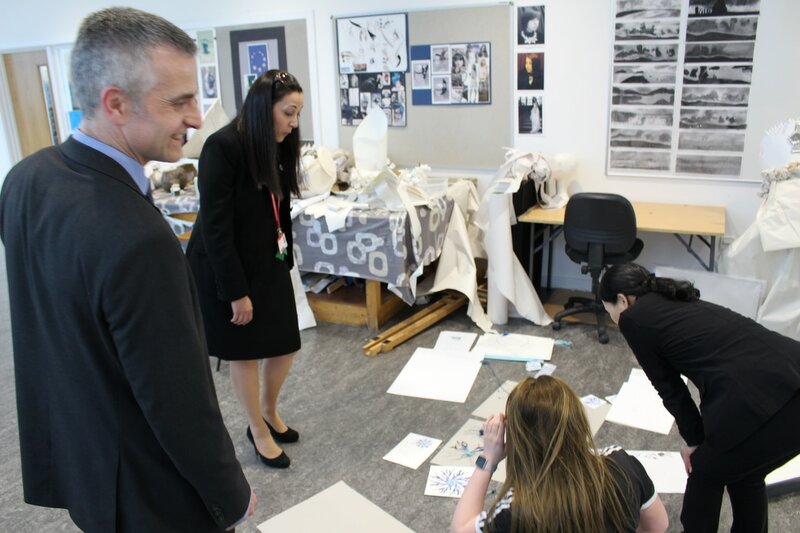 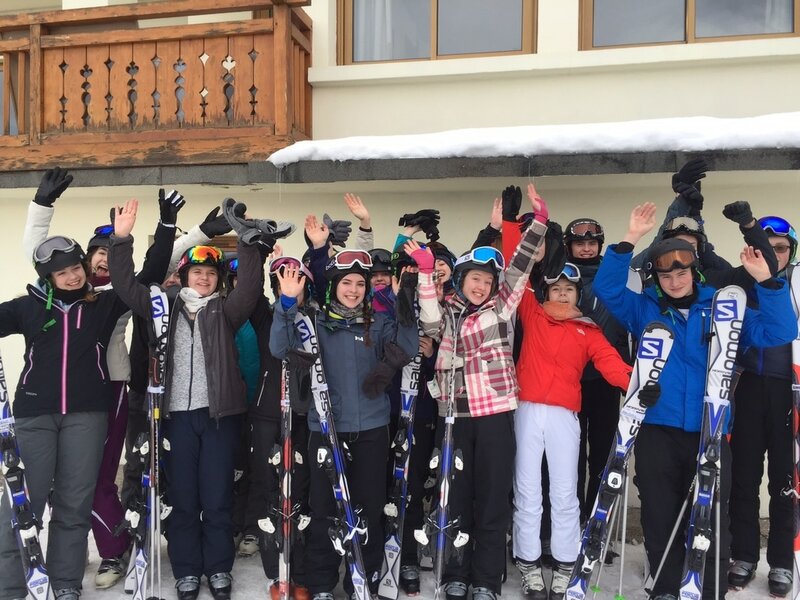 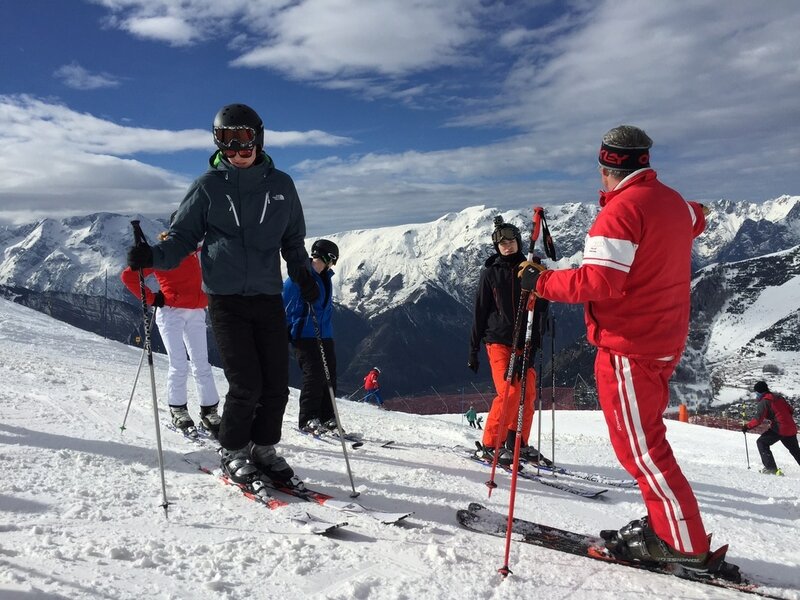 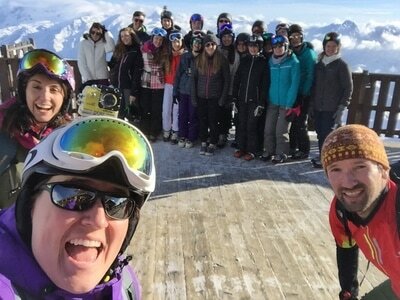 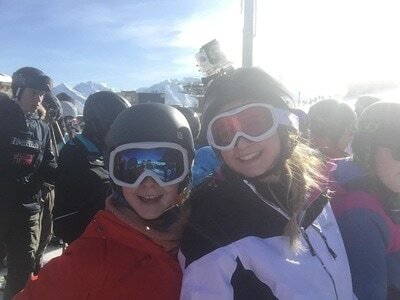 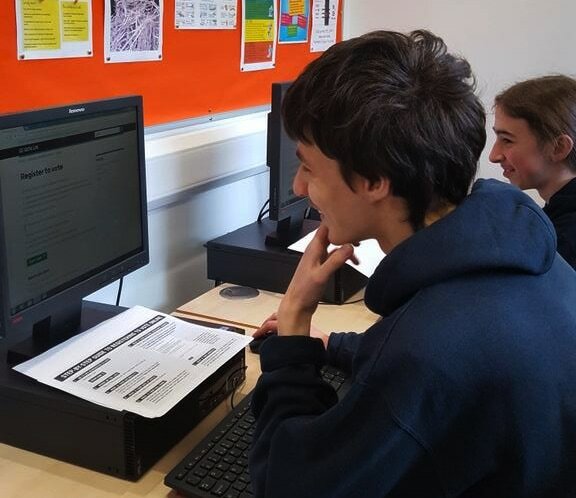 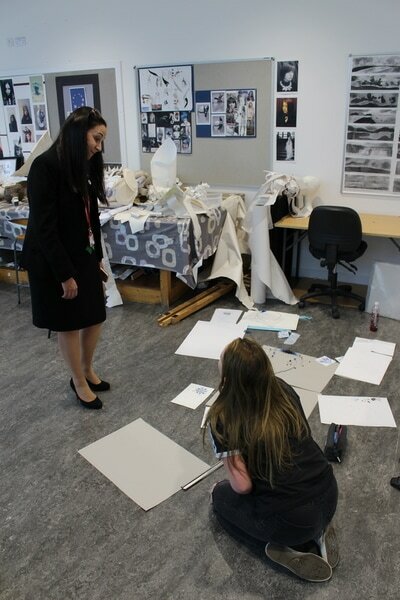 The pupils learned new techniques and approaches to their work, and are currently putting their new skills into practice in preparation for the Advanced Higher course as well as their Art College applications. 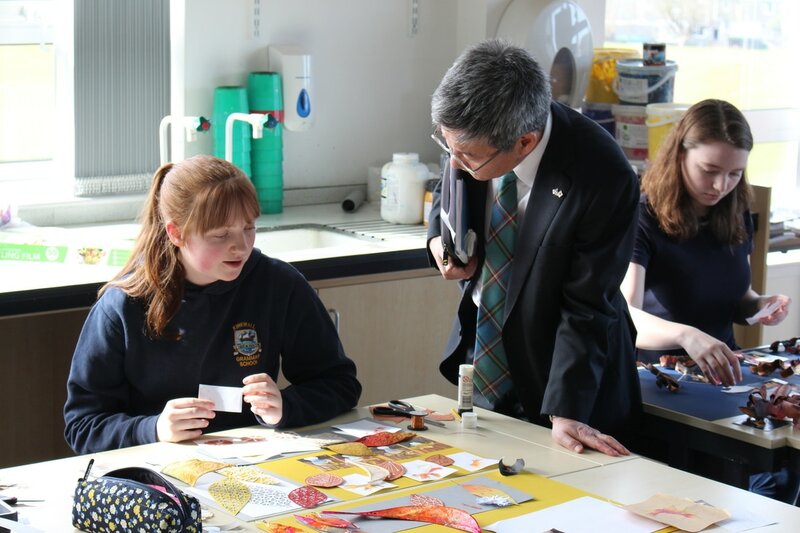 Both pupils found the experience very beneficial, particularly being able to view and be inspired by the entries for the 2016 BP National Portrait Competition, which were on show at the Gallery. This year's Young Enterprise team, Drekka, has launched their website! 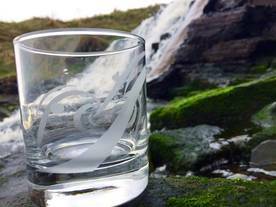 There are still glasses available to purchase from their Facebook page, or you can send them an email: drekka.orkney@gmail.com Glasses will also be available at Parents' Evenings throughout the year.